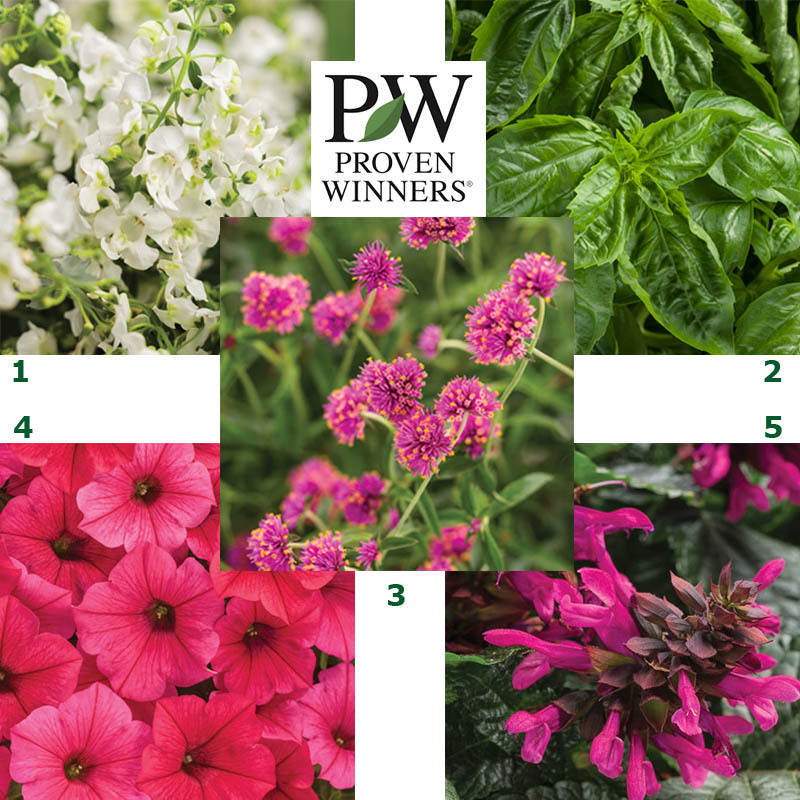 Proven Winners searches the world to bring you vibrant flowering annuals, perennials and shrubs that deliver the most beautiful garden performance. 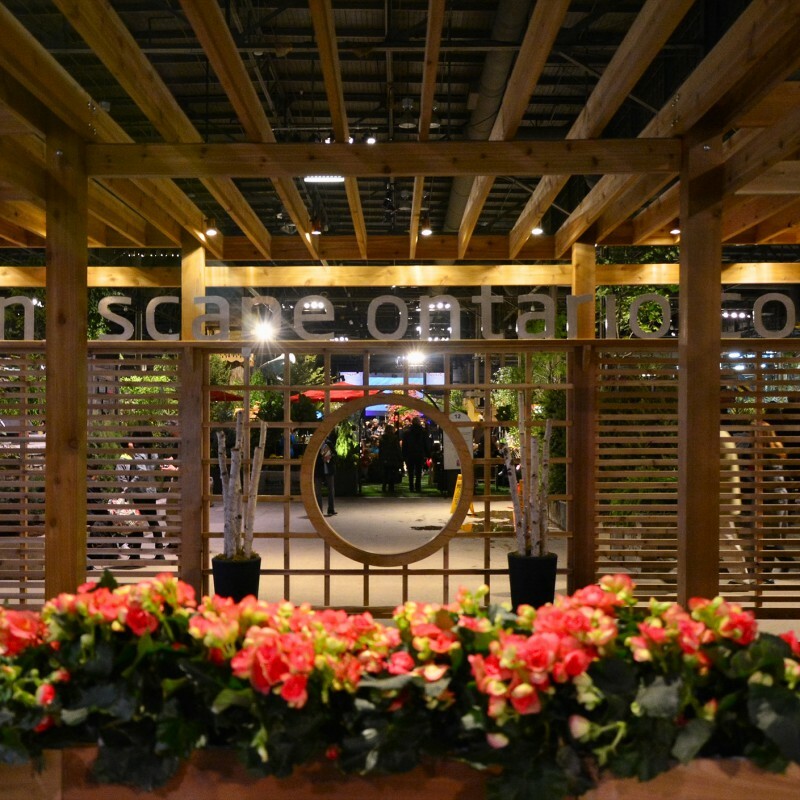 Drop by the Proven Winners “Must See Plants” Showcase at Canada Blooms for a peek at what is new and exciting for the 2019 growing season, you’re sure to fall in love. Gardeners love summer snapdragons for their extreme heat, humidity and drought tolerance. Until now they were strictly upright plants that make for showy thrillers in containers and landscapes. The new Angelface Cascade varieties are different in that they have larger flowers and have branches reaching outward and downward. This makes them perfect for hanging baskets and upright containers as a filler and a spiller. Pair them with other sun loving annuals and they will easily weave their way in and around to create full combination containers with their all summer blooms. Full sun, 8-14” in height with a spread of 12-30”. This is truly a game changing plant—it is the first Italian sweet basil that is highly resistant to downy mildew, a disease that often plaques basil. And since it is a sterile plant, this large vigorous basil produces a higher amount of large, deliciously aromatic leaves. The more you harvest, the better it grows. It’s time to make the switch from your old basil…to Amazel! Will reach a height of 36” with a spread of 24”, very large for a basil variety. Best in full sun. 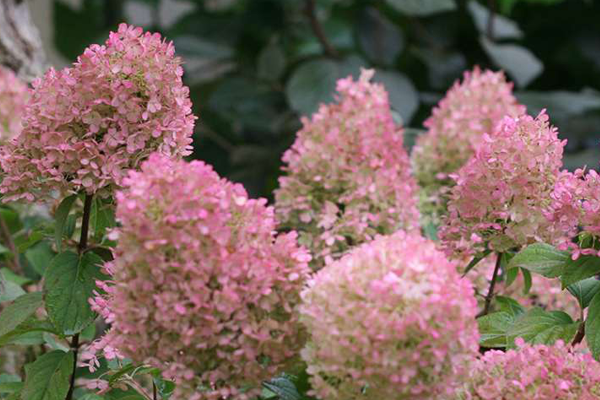 This is an easy to grow annual with hot pink, cotton ball-shaped blooms that pollinators adore. Also a perfect plant for fresh bouquets and dried crafts and arrangements too. A plant that thrives in heat and humidity. Will reach 30” in height, with a spread of 24”. Best in full sun. If you love our Supertunia Vista® Bubblegum then you’ll love how this new variety will blanket your landscape with a wave of watermelon pink blooms. 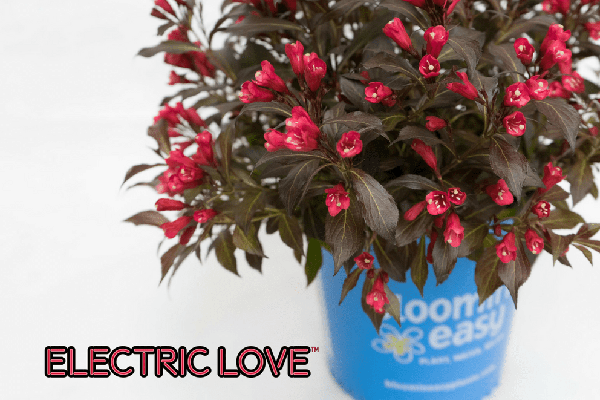 This plant will continue to thrive in heat and humid conditions with no deadheading needed. Will reach 24” in height with a spread up to 36”. Best in full sun with a regular application of water soluble plant food for amazing performance. This is a hummingbird magnet like no other plant! These intense fuchsia flowers on black stems have deep throats that hold plenty of nectar for your favorite pollinators. A color never seen before in this type of salvia. Will grow up to 36” in height with a spread of 30”. Best in full sun. While at the Proven Winners Showcase speak to the professionals, because whether you have large garden, small space corner, or container they will be able to help you choose the right plants to be the envy of the neighbourhood. 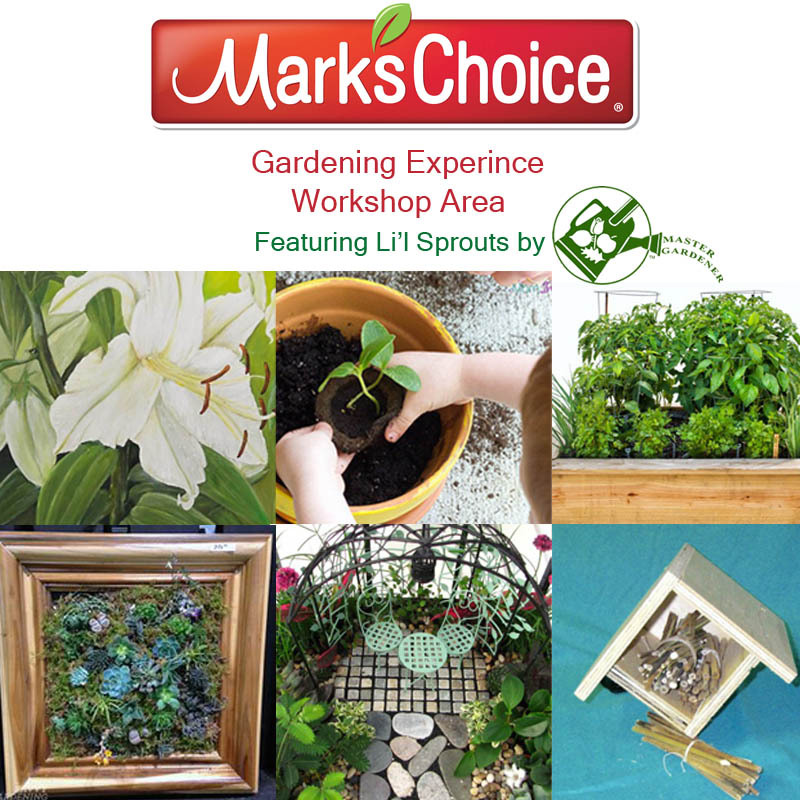 Learn hands-on from Industry professionals and Floral Artists with a new line up of workshops and demonstrations which are available in the Mark’s Choice Gardening Experience area. Demos are offered on a first come, first serve basis, so if you are interested, consider completing the Demo booking form to reserve your place. Special workshops are offered for an additional fee as they are Make & Take projects, the fee includes your admission, instruction and material costs, space is limited and must be ordered through the ticket page. In between the workshops and demos, guests are invited to drop by and a ‘plant a bean’ or ‘plant a pea’ to take home and care for until you can plant in your garden or container. • The Master Gardeners Li’l Sprouts sessions taking place Saturday, March 9-Saturday, March 16 at 11:30am & 2:20pm. They include learning the basics in discovering succulents, bird feeders, bee houses, growing herbs plants and creating a grass head. • Also for children is Veggie for Kids from the Veggie Guy, Bob Martin of Martin Farms. 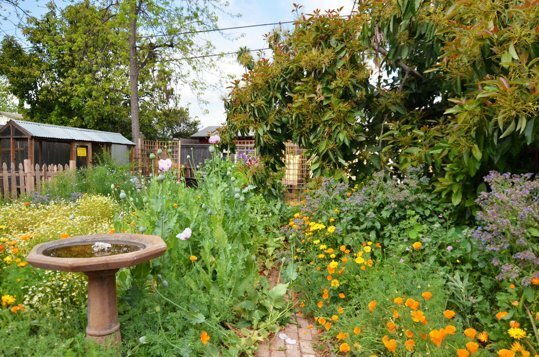 • Other demonstrations include Creating a Pizza Garden with Robert Patterson of The Growing Connection and Houseplant Care with Mark Stewart of the TBG. • Fairy Garden Make & Take with Heinke Theissen & Judy Zinni: Enjoy creating your very own fairy garden and take it home. Get hands on help from your instructor that will help you through the process. Easy to do, lovely to enjoy and lots of fun to make! • Fresh Floral Centerpiece Make & Take with Jennifer Harvey: In this workshop get some of the basic floral design styles & techniques and then create a stunning centerpiece that will be perfect at Easter, Passover or any Spring occasion. • Create a Terrarium Make & Take with Jennifer Harvey: Create a stunning terrarium to decorate your favourite room. • Botanical Art Make & Take with Homa Bahadouri: The upcoming season will offer plenty of inspiration, so why not let illustrator Homa Bahadouri teach your some fun and educational techniques that will allow you to immortalize those images on canvas. • Air Plant Make & Take with Tanya Smith: Always wanted to have an air plant but just not sure how to take care of them? Well Tanya can show you some neat tricks in this Make & Take Workshop. • Create A Bee Hotel Make & Take with Patrick Kelly: Find out about the bees and then create a wooden bee hotel to help save the pollinators in your area. •Create a Succulent Vertical Planter Make & Take with Trudy Grantham and Dianna Kennedy: Create a stunning living piece of art. It’s art, it’s a garden, the best of both worlds can be found in this Make & Take Workshop. VISIT OUR WORKSHOPS PAGE FOR DETAILS on Workshops and Demonstrations. 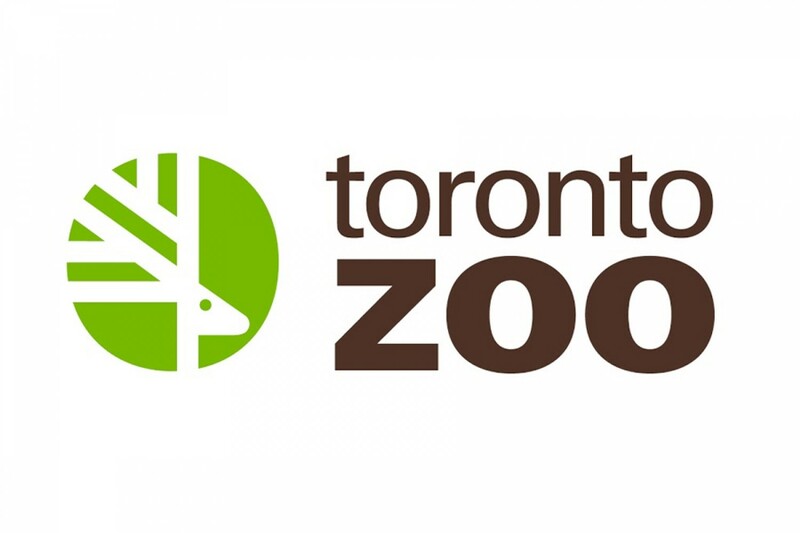 On your next visit to the Australasia Pavilion at the Toronto Zoo, keep your eyes peeled in the walk-through aviary for a very special coniferous tree. Planted beside the soft-needled Norfolk Island pines in the first garden bed (between the pathway and the tree kangaroo exhibit) is a Wollemi (“WALL-em-eye”) pine (Wollemia nobilis). Although this tree is only six feet tall, it is highly distinctive with its flattened, elongated leaves. Different from all other living plants, the Wollemi pine closely resembles fossils from 90-200 million years ago, when its ancestors were chewed on by dinosaurs. And just like dinosaurs, this species was thought to be long extinct. Imagine the botanical world’s surprise when, in 1994, a grove of these prehistoric trees was discovered in a remote canyon in eastern Australia! How did such a unique tree avoid detection for so long? Although fossilized Wollemi pines have been found across most of the southern hemisphere, the modern-day Wollemi pine is critically endangered. Only 80 mature trees and approximately 300 young trees are known in the wild, and they are all found in one remote 10 km2 area of Wollemi National Park near Sydney, Australia. Because of their rarity and uniqueness, Wollemi pines are the focus of an intense research and conservation program with conservationists safeguarding the fragile wild population is by cultivating seedlings in botanical gardens. This is the plant equivalent of the zoo’s animal breeding programs! Today, Wollemi pines are available to the public: their sale helps to raise conservation funds for the wild population. 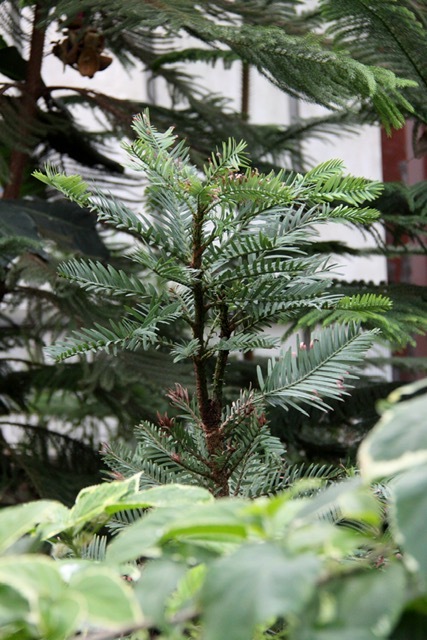 The Toronto Zoo acquired two Wollemi pines in 2009 – which both are exact genetic matches to one of the original trees discovered in 1994. Although they were both planted in the aviary, the second tree recently returned to the greenhouse for rejuvenation. But keep your eyes peeled: you never know when and where in Australasia this “pine-osaur” might show up when it returns! Vegepod – A vegetable garden kit that makes growing simple! Vegepod began eight years ago like any good invention, out of failure and necessity. Matt Harris, inventor and CEO, tried like 80 percent of us at some stage in life to grow and harvest vegetables at home and again like the vast majority of those people, kept failing for a variety of reasons. Matt set out to construct a vegetable garden kit that could go anywhere and solve all problems in one solution. Thus the birth of Vegepod. Nine years on and Vegepods have finally made it to Canada. 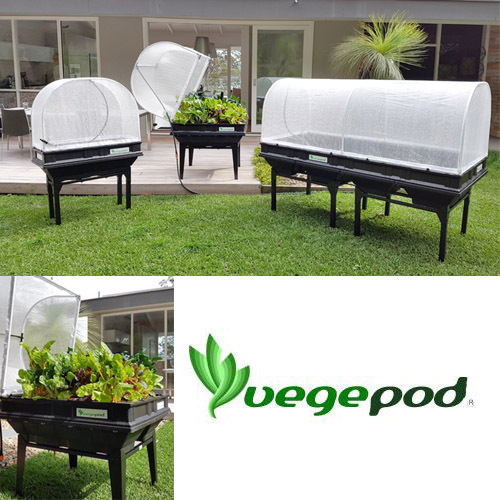 Vegepod’s innovation and incomparable gardening success rates were then realised on a winning appearance on the Australian “Shark Tank” 2 years ago. Naomi Simson jumped on board as an investor and the show created a spike in awareness for growing vegetables with Vegepod in Australia. It’s easy to set up, simple to fill and requires little ongoing maintenance. The ideal solution for the busy householder who wants a veggie patch but doesn’t have the time or effort required to build one. Not only is it easy and effective for the common householder but its fantastic for all ages and communities ranging from kindergartens, schools, aged care, disabilities and health care services. Programs have been developed or are currently under development for these specific sectors in the community which have been designed by Dr Kate Neale from the Southern Cross University and funded by the Australian Government in conjunction with Vegepod. The programs are designed to empower and engage the participants, develop life skills (build capacity), increase organisational sustainability, contribute to urban greenspaces, provide a potential avenue for micro-business / social enterprises and maximise the therapeutic benefits of gardening. The benefits of gardening are well known. Wellbeing and resilience is linked to time spent in gardens. The benefits are both physical and spiritual/ emotional. Benefits include: lower anxiety, improved concentration, engaged senses, encouraged healthy eating and living, promotion of being active, development of fine and gross motor skills (if you’ve ever planted carrot seeds, you’ll know what we mean), social interactions with others, an increased sense of belonging, inclusion and connection to place. In conclusion Vegepod is a solution for growing vegetables which makes it simple and easy for anyone, anywhere. Come see the Vegepod Garden and Canada Blooms 2019 and see why it is the right garden for you, or visit our website. Those of us who love the outdoors and enjoy puttering around the yard are always looking for an excuse to do something in the fresh air. If you thought you were done with this year’s lawn and garden, we have a question: Have you taken care of the following? 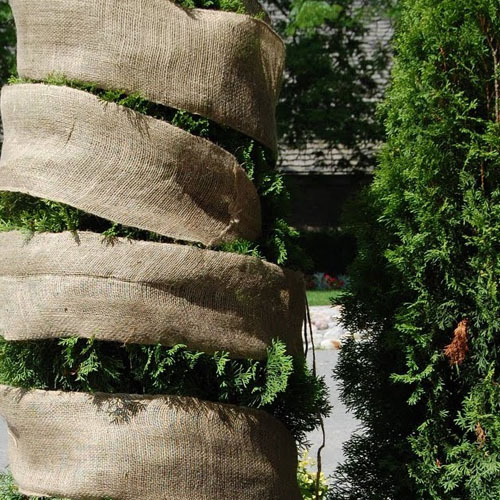 Wrapped cedars with two layers of burlap. Cedars nearest a road (and on the east side of it, especially where they are susceptible to westerly winds full of salt spray) are most vulnerable. Wrap them with a layer of burlap to prevent the permanent damage of salt and wrap them again to protect them from the drying effects of the wind, especially if they are exposed to the north or west. Fertilize your lawn. This time of year provides an opportunity to apply the most important application of lawn food. Why? Your lawn will absorb the nutrients of a fall lawn food before it goes to sleep for the winter. Like a bear that forages before bedding down for the winter, your lawn stores nutrients and sugars in its roots right now in anticipation of the long cold winter ahead. Look for a fertilizer formula, like CIL 12-0-18. Protect fruit trees. If we get an average dump of snow this winter, bunnies and mice can do a lot of damage to fruit trees that are less than 6 years old by nibbling away the bark with their rather sharp teeth. With little to fill their tummies in winter, they resort to this sort of thing. “Bark is better than nothing.” they must be thinking. Wrap the trunk of each tree with a plastic spiral that extends about a metre up the trunk. After about 6 years or so, the trunk of most trees has become too tough even for rodents to enjoy. Be sure to wrap crabapples and flowering cherries as rodents don’t know fruiting from non-fruiting trees that flower. Compost. All of your leaves are down and you no doubt have raked them off your lawn and on to your garden. Good. If you have a compost pile or bin, now is an excellent time to empty the contents onto your garden. Spread it with a rake and let it sit there over the winter. Come early spring, earthworms will pull the raw compost under the surface of the soil and convert it into nitrogen-rich castings (poop). If you have not built or purchased a compost, now is a good time to do it as there is no shortage of yard ‘waste’ (actually a ‘resource’), grass clippings and fallen leaves to fill it. Rhododendrons and other wind-sensitive evergreens like taxus (yews) and boxwood, are best protected with one application of Wilt-Pruf. It prevents the drying effects of wind and extraordinarily low humidity during a Canadian winter. Save what is left in the bottle to apply to your fresh cut Christmas tree. It works better than ANY preservative. Volunteers helped us welcome our new sponsor Mark’s Choice and get ready for 2019 with “A Family Affair” themed lunch with a ‘Dress My Mummy’ contest, win door prizes, take in a container seminar with Mark Cullen, Ben Cullen and Home Smith Gardening’s Tanya Smith. After lunch, volunteers were able to take in Zimsculpt, a special display of sculptures from Zimbabwe in the gardens at the TBG until the end of September. Thanks to the Toronto Botanical Garden and their wonderful staff who did an amazing job, as well as all those volunteers who helped us set up and clean up. We couldn’t have done it without you. We would like to invite all volunteers seasoned and novice to join us for a gardener’s getaway at Canada Blooms 2019 as we celebrate what a family means to you. Work a little, play a little and share in the excitement. This is a great way to put your skill to use or learn new skills, meet people and just have fun. As a thank you each volunteer will receive a ticket to the festival (Canada Blooms/Home Show). Visit our Volunteer Page after November 26th to sign up. If you have any questions please contact Volunteer Coordinator at bloomsvolunteers@gmail.com or call the main office 416-447-8655 x 7721. Come volunteer, Canada Blooms needs you to flourish. Please note that both the TTC and GO Train have stops near the Enercare Centre, and from Monday – Friday Parking will be FREE after 4:00 pm. “What now? “ Time was, you would dig it all up and stuff it in a root cellar. 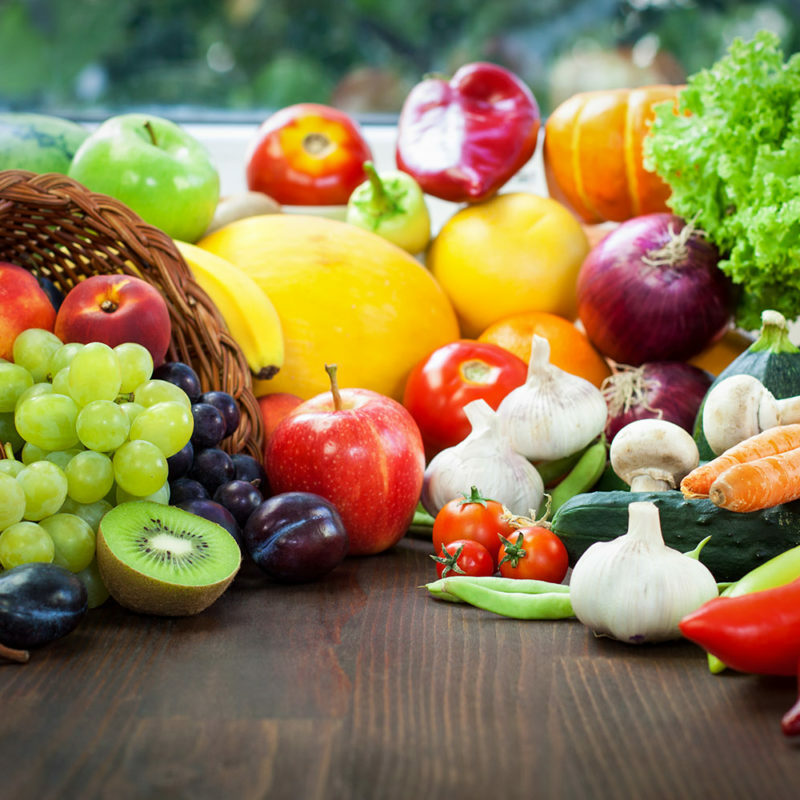 Today of course, we have freezers, refrigerators and some pretty sophisticated methods for preserving fruits and veggies. Tomatoes: If you still have lots of red tomatoes the answer is simple. Eat what you can and preserve the rest as tomato paste, ‘spaghetti’ sauce or just skin them, bag them and freeze them for future use. If you wish to ripen the green tomatoes indoors and retrieve them from the plants before the frost gets to them, try this: use old oven racks or some other raised platform, place the green tomatoes on newspaper which is spread over the rack. Good air circulation is important. Place in a cool place. They will ripen in a dark room more slowly than in a bright one, but either work. Place them on the rack(s) with a centimeter or two between each. Turn them every couple of days and inspect for rot or mildew. Toss the infected ones onto the compost. We know people that have eaten tomatoes stored this way right into the first week of January. Peppers: Harvest ripe peppers before they are hit by first frost. Wash in cool water and place in boiling water for 5 minutes. Remove the peppers from the boiling water and allow them to cool for 1 minute. Next wrap the peppers in plastic wrap and store in the freezer. Peppers will last up to 30 days with this storage method. Winter Squash: Store only fully matured squash. Harvest before the first frost. Leave 3” of the stem attached. Keep the squash in a warm, dry and ventilated area for 2 weeks. Once the squash has cured you can move it into cool storage. The ideal storage is a cold room around 50-55 degrees. Store squash on racks so they don’t touch. Well-cured, fully-ripe squash will keep until late February. Potatoes: Store potatoes in an unheated basement or garage insulated to protect against freezing. The best location for home storage is cool, dark and ventilated. Perforated plastic bags can be used to maintain humidity levels while allowing air flow. Carrots: One option is to leave carrots in the ground and cover them with an unopened bale of straw for the winter. As you need them for cooking, pull the straw back and dig the fresh carrots out of the ground right up until the very hard frost of late December or January. Alternatively, you can dig up all of your carrots and ‘replant’ them into bushel baskets filled with sharp sand. Keep the carrot tops intact as the root loses much of its nutrients shortly after the top is cut off. Place the baskets in your garage, preferably against the wall that is attached to your house where the temp is about 5 degrees warmer. You will be ‘pulling’ fresh carrots all winter long. Apples: Harvest apples carefully to avoid bruises which will prevent them from keeping well. Late season apples are the best for storing. Harvest before the first heavy frost. Store apples in the dark in shallow trays of shredded newsprint. The temperature should be cool but not frosty. An unheated basement or garage can be an ideal storage location as long as they are free from rodents. Keep in mind that some veggies actually improve in flavour with frost. Leeks, kale, Brussels sprouts and cabbage fall into this category. Family Affair is the theme for the Toronto Flower Show 2019. You will see many interesting interpretations of family life and relationships. Think about how you would portray “Gathering of the Clan”, “Sunday Best”, “Family Tree”, “Family Game Night”, “Dysfunctional”, Family Feud” and many more. Many of the designs call for techniques which you will not have seen. Ten countries are confirmed; Barbados, Bermuda, Canada, France, Italy, Oman, India, NAFAS Great Britain, South Africa, and the USA. These very talented women spend a lot of time and effort preparing for their visit to Canada Blooms. Some are chosen by their country to come as an award for winning top honours in their own country, others are invited because of their special skills/talent. Once confirmed, they immediately start planning their design. They consider the title, the space allotted, the colour of the set and background, learn which plant material they are allowed to bring into Canada from their particular country and which might be readily available here. We have had competitors arrive at Pearson Airport with boxes of material they intended to use only to have it confiscated at customs and immigration. Imagine the heartbreak and anxiety of having to rethink your design at the last minute! Once here, they are well looked after. Billeted by members of the Garden Club of Toronto, they are treated as special guests in our country. There are dinners, often a trip to Niagara Falls and / or other attraction(s) and a good dollop of Canadian hospitality. Meeting these women at functions in other countries, they never fail to tell us what a good time they had in Toronto. Make sure you come to meet them and to see their interpretation of “Relatively Speaking”. Each country will have its own unique idea of family relations. The International designs are shown for the first five days only (March 8th -12th) so make sure you come to the show early. If you come after March 12th, photographs of the international entries will be on display. Don’t forget to bring your family, after all it is a Family Affair! They have been involved with Canada Blooms since it was started some 23 years ago; now, they are attaching their brand to the marquee. Canadian gardening gurus Mark and Ben Cullen have reached a five-year agreement to be the title sponsor for the country’s largest garden and floral festival and will attach their Mark’s Choice brand, available exclusively at Home Hardware, to the Canada Blooms logo and wordmark. Mark is also a Canada Blooms board member emeritus. Through regular appearances on television, radio, online, in print or in person at seminars and shows, Mark and Ben Cullen connect with more than two million Canadians every week. An author of 23 books and the spokesperson for Home Hardware Lawn and Garden, Mark’s personable style and topical information has captivated audiences and continued to garner him fans across Canada. 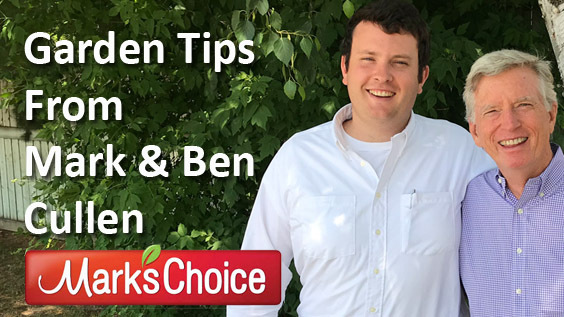 Mark’s Choice is Mr. Cullen’s personal seal of approval on more than 200 gardening products available exclusively at Home Hardware stores across Canada. Besides adding the Marks’ Choice name to Canada Blooms, Mr. Cullen and his son Ben will present regularly at the festival, which takes place annually over the March Break. 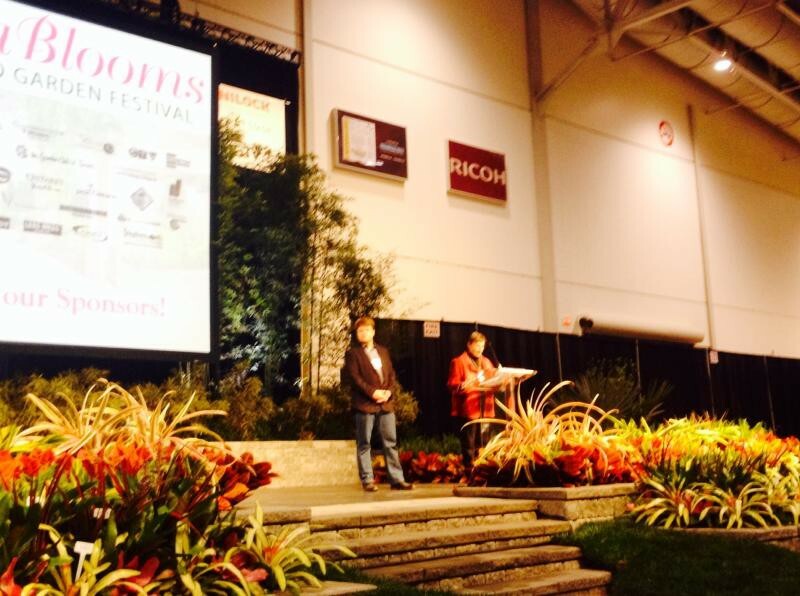 At Canada Blooms, there is more than 200 hours of entertainment and information on the three stages, offering professional insight on gardening, landscaping design and trends. Co-located with the National Home Show, Canada Blooms takes place March 8th to 17th, 2019, at the Enercare Centre Exhibition Place in Toronto. For more information or for tickets, please visit canadablooms.com. Follow Canada Blooms on Twitter @CanadaBlooms and Like it on Facebook. Now entering its 23rd year, Canada Blooms was founded by Landscape Ontario and The Garden Club of Toronto. Each year it is supported by a committed group of partners, sponsors and volunteers. Canada Blooms has been named One of Ontario’s Top 100 Events by Festivals and Events Ontario and One of North America’s Top 100 Events by the American Bus Association. Fall is the best time to start a new lawn from seed or to lay sod. It is the best time to over-seed established lawns to fill in bare patches and thicken your grass. In most parts of Canada, the best ‘grass seed sowing’ occurs from mid-August through late September. The evening temperatures are lower and the morning dew is heavier. As night time temperatures moderate, they are optimum for seed germination. Preparation is the key to success. Rake the area lightly to remove debris. Add a 1cm to 2 cm layer of Mark’s Choice lawn soil to level out low patches in the lawn and choose the best quality seed for the best result. The grass seed you use is the future pedigree of your lawn. Rake the seed to smooth it and integrate it into the layer of triple mix. Step on the area with flat-soled shoes to get the seed and soil in firm contact or, for large areas, roll with a lawn roller that is 1/3 full of water. Fertilize with lawn starter to encourage rapid root growth. This will help new grass get established more quickly. Water the seeded areas and keep the soil damp until the grass is at least 3 cm high. A thick healthy lawn is your best defense against weeds. Feed the lawn with CIL Iron Plus for a deep green colour and healthy growth. You can cut a lot of corners by using the new CIL Iron Plus 4 in 1. It contains a top quality grass seed, premium grade chelated iron, a charge of nitrogen and pelletized compost, to provide a medium for the new grass seed to germinate into. This is the best time of year to apply CIL Iron Plus. We are frequently asked how to control lawn weeds in the absence of chemical weed killers. The answer is simple – over seed your lawn to thicken it and compete weeds out of existence. AND be sure to raise your lawn mower up to 2 ½ or 3 inches (7 to 9 cm). Note that a new broadleaf weed killer was introduced last spring that is environmentally responsible. Look for Weed Out ready to use in pump spray bottle for spot weeding or the new concentrate by the same name. The principle compound found in this product is derived from the broad bean and the common pea plant. Try it on dandelions and you will be impressed how it kills the root and all in a week or two. Often grubs become active near the surface of the soil in late summer and early fall. Grubs feed on grass roots causing the lawn to die. Patches of dead grass will lift up easily if pulled by hand. Skunks, raccoons and moles will also dig in the lawn to feed on grubs. The fall is the best time to control grub populations. Larvae hatch in the fall and can be killed quickly due to their small size. We recommend using beneficial Green Earth nematodes to control the grub population. These are microscopic larvae that infest the grey and white grubs in the soil. Be sure to water thoroughly after application. Applying beneficial nematodes in the fall is a proactive approach to controlling lawn damage next spring. A healthy lawn will often hide the symptoms of grub damage. A thick lawn which is watered (once a week at most) and fed properly will grow new roots quickly. This helps mask grub damage and keep brown patches to a minimum. Taking the time to care for your lawn this time of year pays big dividends come spring and beyond! We are on the continental divide of the gardening season. On your right is the last four months that you invested and the flowers and fruit that your garden has produced to date. On your left is another four months (or so, depending on where you live). This is when apples ripen and tomatoes are harvested. To many of us, the best is yet to come. Divide German iris in August. This is the best time of year for it. Cut the leaves on an acute angle to prevent water from sitting on the cut portion of the leaf. This helps reduce the chance of disease. Spread the divisions around the sunny parts of your yard or give them away. Sow grass seed and lay sod. From Mid-August until early October – this is the best time of year to do this. Seed the thin spots in your lawn. Spread 3cm of lawn soil over the area, then the grass seed, rake smooth, step on the works to firm it in place and water well. Use the new “4 in 1” CIL Iron Plus with quality grass seed, iron and pelletized compost. This amazing product can be applied to your lawn using a lawn spreader. If you are receiving some rain and night temperatures are cooling down, this is a great time to apply CIL Iron Plus lawn fertilizer, if you have not done it in 8 to 10 weeks. Remove the spent blossoms of July flowering perennials and roses, daylilies, delphiniums, early flowering hostas, veronica and the like. Many of these plants produce another set of blossoms when you cut it down this time of year. If you are in the habit of fertilizing your winter hardy shrubs and roses monthly, then right now is the last application that you will make for this year. Feeding later in the summer/early fall can promote growth that will not have time to harden off before winter. Hang out a hummingbird feeder: they are returning from the far north, will stop and forage in your garden for a few weeks as they accumulate fat under their wings for the long flight south this fall. Stake your dahlias. Without support, tall blooms can be damaged by wind and heavy rain. Harvest as your garden matures. With fruit bearing plants, the more you harvest, the more it will produce. We are in the middle of the “dog days of summer”. This means that there is an abundance of Ontario cut flowers available to you. Two of the staples of summer cut flowers in Ontario are sunflowers and gladiolus. Gladioli are such a favourite as they are nostalgic and come in a rainbow of colours. Sunflower colours have also expanded from the traditional yellow, to butter yellow, red, red/yellow bicoloured, mauve, and the tinted red. A product newcomer as a large volume producer to the Ontario market is Dahlias. In the last Canada Blooms newsletter there was an article highlighting the care of dahlias. We do have a number of commercial growers in Ontario that work very hard to produce beautiful flowers. Most dahlia growers’ season starts in April. In April growers are checking their stored tubers to be sure that only the healthy ones are planted. Planting (and praying) start in late April/early May once the ground is dry enough and warm enough. Care is taken to ensure that optimal growing conditions are met. Cutting of flowers should start mid-July. The season for cut dahlias will last as long as warm dry weather stays. (Note: October brides wanting dahlias should always have a “Plan B”) Cool nights without frost really slow down growth. Once frost hits in September / October growers must “lift” (dig out) the tubers they want to reuse the following year. This is when the first grading of tubers happens. The tubers are then put away for the winter in a cool (not cold), dry sleep until the following April when the cycle starts again. Start writing anytime — this journal is designed for three years but undated so the best time to start writing is right now. 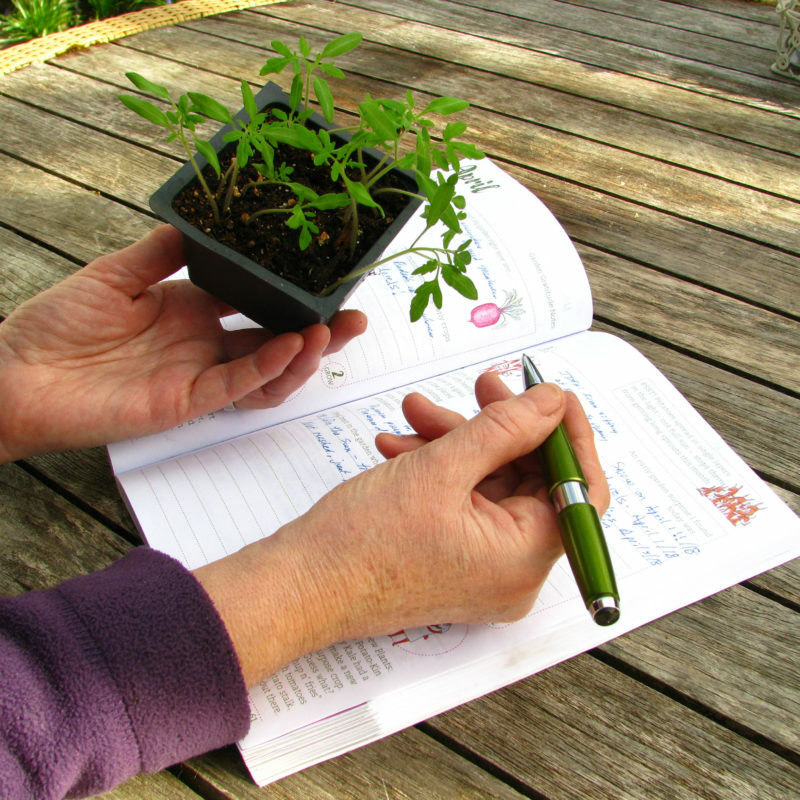 Create you garden memoir by keeping records and daily nature notes all in one place. Jot down a line a day to record your highlights, your hits and your misses. Every gardener and nature lover benefits from paying attention. This journal lets you track the impact of your garden choices over three years. 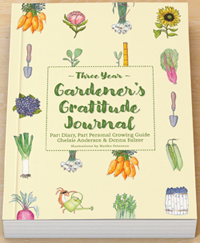 Buy the journal online at: https://donnabalzer.com/garden-journal/ and get the fantastic bonus sheet of 63 stickers to record that bonus harvest or flower you love. The Horticulture Director is responsible for the for the development of a plant material plan, as well as with the coordinating and assisting with the planning and installation of Feature Gardens. The Horticulture Director will also be responsible for sourcing and negotiating with vendors and plant suppliers and will to create a world-class flower and garden show. The candidate must have a post-secondary school diploma in Horticulture or closely related field from a recognized college or university AND five years’ experience in professional horticulture. As well as an excellent working knowledge of botanical horticulture and the broad range of plants typically found at Canada Blooms. The candidate will have a good practical knowledge of proper horticultural practices, landscape construction, and a good overall command of the tools and equipment necessary to perform these tasks. The candidate must have a demonstrated ability to organize, prioritize, and multi-task in a fast-paced, challenging environment, as well as demonstrated leadership, organizational ability, and experience in coordinating and supervising staff. Please send your cover letter, resume and salary expectations to info@canadablooms.com, with Horticulture Director in the subject line, by August 10, 2018. Term: This is a full-time position. Completing other tasks related to Feature Gardens, will be required from time to time. Works in partnership with the Design Committee to design and create a world-class flower and garden show, Canada Blooms, which meets and exceeds the expectations of show visitors, as well as the creative execution of the event and the entire visitor experience. Special attention will be paid to all common areas of Canada Blooms, including general décor, lighting, aisles, restaurants, show signage and sign standards. Assist in the development of floor plans, stage, traffic-flow considerations, entrance/exit consideration, and maximizing the space for the presentation of the feature gardens. Good practical knowledge of proper horticultural practices, pest and disease identification and mitigation, and landscape construction, with a good overall command of the tools and equipment necessary to perform these tasks. Demonstrated ability to organize, prioritize, and multi-task in a fast-paced, challenging environment. Demonstrated leadership, organizational ability, and experience in coordinating, supervising, motivating and directing staff. Demonstrated ability to use computers and the Microsoft Office suite of programs in providing basic planning lists, reports, and correspondence to the Canada Blooms Management Team. Must be able to perform physically demanding work on an ongoing basis including walking and standing, often on hard surfaces, bending, pushing, pulling, carrying, and lifting up to 20 kg. Working knowledge of the Occupational Health and Safety act and other applicable safety legislation, rules, policies and procedures, including the Ontario Pesticides Act. Basic knowledge of curatorial procedures and plant records is a plus. Valid class “G” Ontario Driver’s License with an excellent driving record. Directly accountable to the General Manager and works in partnership with committees and staff. Time commitment for this position varies throughout the year with increased commitment beginning in September to April. It is expected this person will be on site each day of Canada Blooms, including set-up, at the Enercare Centre. The remuneration for the Horticultural Director is a full-time salary in an appropriate pay band. The polka dot plant (Hypoestes phyllostachya) ‘Hippo Rose’, produced by Proven Winners, is a bright and beautiful plant, with spotted leaves that stand out, especially next to other plants. Foliage is the main reason to grow this plants and it has been found to be an easy-to-grow plant for both sunny and shady locations. Sure to be a favourite at local nurseries and garden centres this season, the polka dot plants are well suited for indoor use and in temperate to warm zones they can be grown outside. Light: bright light is best, but when tested in the University of Guelph Trial beds it did well in shade as well. If you prefer more colour then consider some direct sunlight, which should deepen the colours. Water: keep the soil moist in the summer growing season. If your plant flowers and then goes dormant, reduce water and resume when new growth starts. Fertilizer: during the growing season, feed weekly with a weak liquid fertilizer that includes micronutrients. The ‘Hippo Rose’ was grown and evaluated in the various 2017 trials. It was very popular with visitors who came out to see the trials and in a survey at the University of Guelph, where more than 300 participants were asked to select 3 plants from a group of 21 for use in a mixed container, ‘Hippo Rose’ was the favourite. For more information on the ‘Hippo Rose’ Polka Dot plant visit your local garden centre. Canada Blooms and City of Toronto celebrate 11 years of donations. 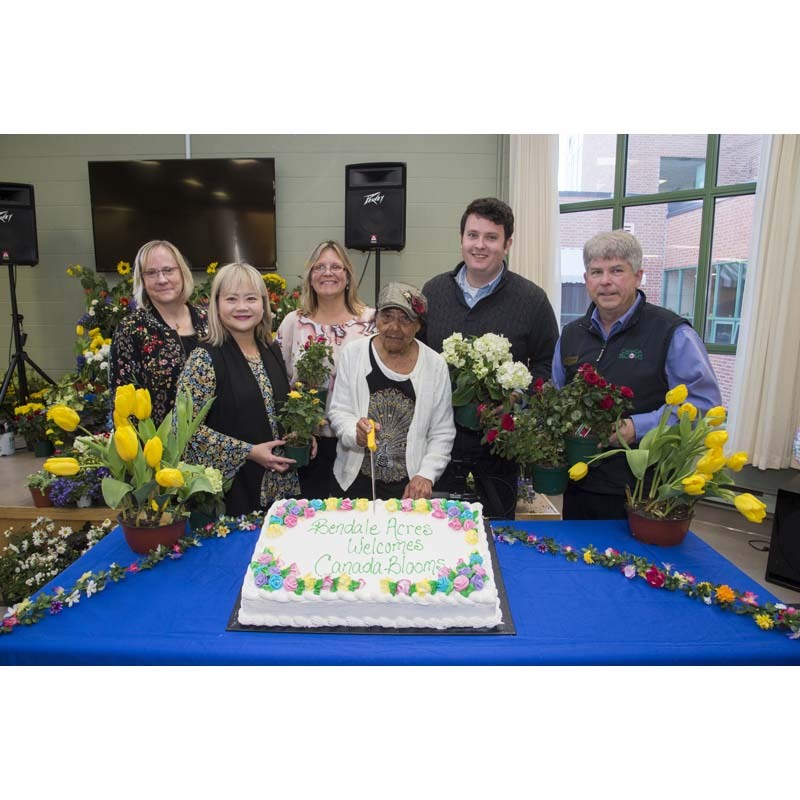 At a March 20th celebration residents and staff of Bendale Acres joined celebrity gardener Ben Cullen to accept more than 600 plants donated by Canada Blooms and transported by Procter’s Cartage. This is the 11th year that Canada Blooms has donated plants to a long-term care home owned and operated by the City of Toronto. It allows the many plants and flowers from the festival to continue to bring enjoyment to Torontonians. Each of the 302 residents at Bendale Acres and seniors from the Adult Day Program and Brimley Acres Supportive Housing received a plant. Meals on Wheels volunteers from TransCare will also deliver plants to seniors in the neighbourhood. Ah the Holiday Season. Cool weather, warm fireplaces and time to decorate your home for the holidays! We all know the tried and true holiday plants (poinsettias, cyclamen and mistletoe just to name a few), but with a wide range of plants out there, lets look at some great alternatives that can be used year-round and dressed up or down depending on your style needs. Commonly referred to as a ‘Chinese Evergreen’, we chose this specific variety thanks to its beautiful creamy-white and green variegation. A beautiful tropical plant that thrives in low to medium light and easy to care for, dressing it up in a fun holiday container or a modern white or concrete planter can add the perfect touch to your home. Who wouldn’t want this cute green-blue conifer plant for the holidays? Dress it up in a minimalist concrete pot and you have a beautiful piece of the outdoors to enjoy inside during the cold months. These guys enjoy medium to bright light and require damp (but not wet!) soil. What’s not to love? A true tropical plant, Anthuriums love a bight, indirectly lit area. 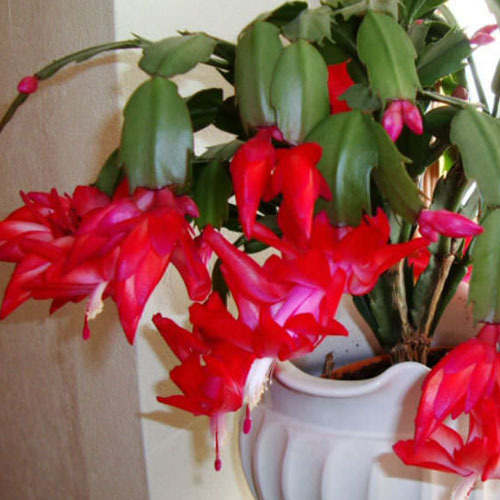 Great year round, they come in a variety of stunning colours such as red, coral and bright pink. With beautiful heart shaped leaves and blooms, they leave you with the impression of getting away from all the fluffy, wet white stuff on the ground and would be perfect as a hostess or teacher’s gift. Easy care? Check. Colour changing foliage? Check. Not quite the same as the common “frosty fern” selaginella, ‘Jori’ is great as it offers beautiful green foliage that gets lighter and lighter as it cools. 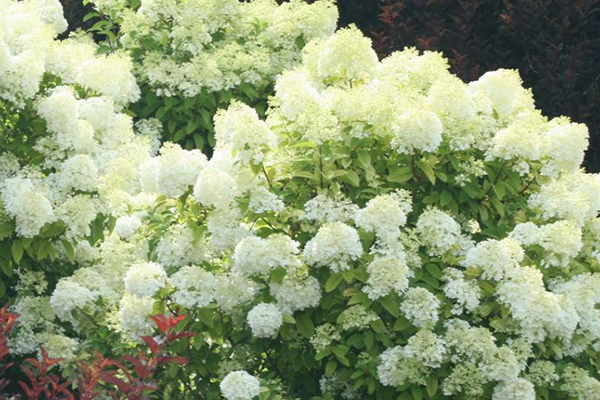 Perfect for the winter months when it starts to get a little chilly, these plants will start to lighten and turn white at the tips, giving it a cute snow kissed appearance. Delicate silver-green leaves are the standard for this fern. Great for a hostess gift or to keep for yourself, Pteris are good for low to medium light levels meaning they’re easy to place through out the home or office. Dress it up in a fancy pot and your décor options are endless! With the holidays around the corner it’s easy to forget to care for your green friends in all the hustle and bustle. If you’re going away for a few days or longer it might be a good idea to water your plants before you leave, or consider doing a pebble tray. Instructions for these are abundant on the internet and a great option for plants need humidity as well. Happy Holidays from the Jensen’s Team, and we look forward to seeing everyone at Canada Blooms in the new year! If you have ever considered creating a garden at Canada Blooms and specialize in small space design, then now is the time to let us know. The festival is creating balcony display units that will challenge the designers to create something spectacular, memorable and inspirational in a real life, limited space, setting (10 ft long x 6 ft deep x 8 ft high), while also keeping in mind this year’s theme “Let’s Go To The Movies”. front and back, and to be finished by designer on floor, sides (inside and out) and ceiling. There is limited space available to showcase your talent, creativity, craftsmanship and professionalism at Canada Blooms – March 9-18, 2018. 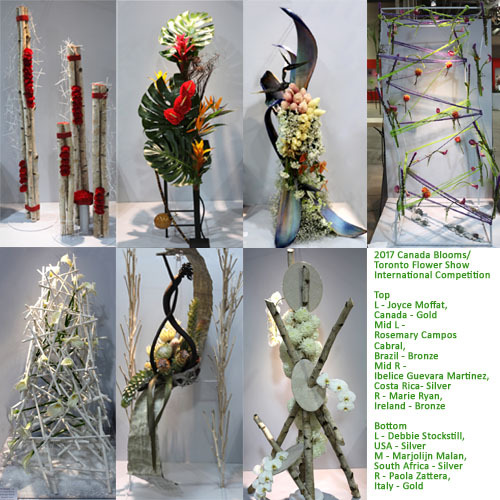 If you are interested in submitting and application please contact Canada Blooms Horticultural Director David Turnbull at davidturnbull@canadablooms.com or 416-447-8655 x 7730 for more details. Application deadline November 30th. Fall is a great time for planting because the soil temperature is perfect for root establishment. 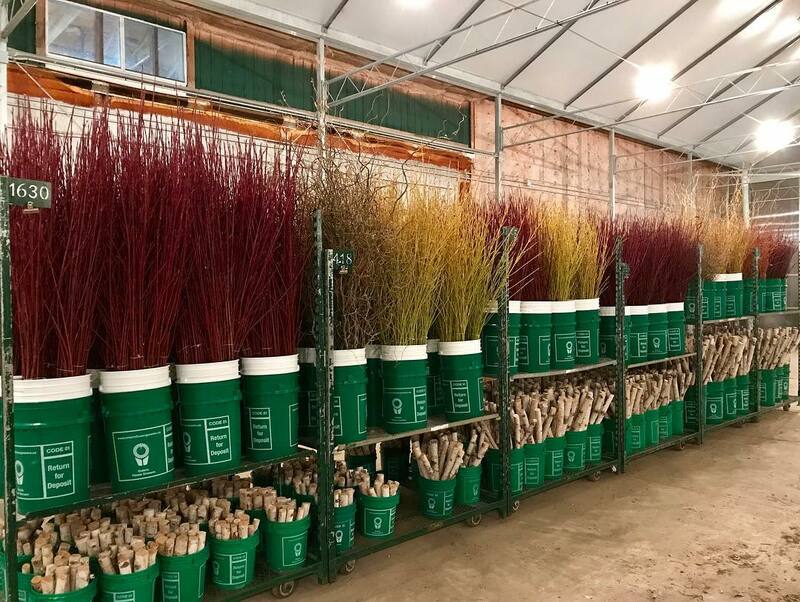 Perennials, vines, shrubs and trees can all be planted up to six weeks before the ground completely freezes. Be sure to keep new plantings watered until the ground is frozen. Fall is the time to plant spring-flowering bulbs such as tulips, daffodils and summer-blooming lilies. Tip: To avoid your treasures from being dug up by squirrels, cover the newly planted area with chicken wire, then cover with shredded leaves or mulch to cover any scent. It’s also a great time to visit your local garden centre to check out new arrivals especially for the fall planting season. When perennials begin to bloom less, clumps become too large or start dying out in the centre. If you want to increase the number of clumps or move them to another location, it’s time to decide and divide. Dig up the entire clump and use a sharp spade or heavy knife to cut it into smaller sections, just as you would cut up a pie. Replant the sections and water them well. There are two prime times to divide perennials: Spring-flowering perennials are divided in the fall; summer-flowering and fall-flowering perennials are divided in spring. Some plants can be divided anytime. This splits up the task into two seasons and makes the job easier. Fall is the perfect time to expand the flowering times in your collection as most garden centres stock a wonderful selection of fall flowering plants. Avoid shearing hedges and pruning deciduous trees in the fall. Pruning stimulates new growth which is best left for spring and summer, however any unruly shoots can be safely snipped. Cut back perennials that self-seed or have no winter interest, leaving six to eight inches of stubble to trap the snow and insulate the crown over winter. Perennials such as sedums and ornamental grasses are outstanding features in the winter garden and can be cut back in spring. If you have a mulching mower, mulch fallen leaves right into your lawn, rather than raking. If you have too many leaves, run the mower over the leaves first, then rake them up and apply as organic matter to your garden or simply add to your compost bin. Shredded leaves break down into humus faster than non-shredded leaves. Humus helps to retain soil moisture and nutrients that plants then utilize. Canning sun-ripened tomatoes and drying fresh herbs (such as parsley and oregano), can add wonderful aromas to your home and add home-made goodness to meals. Fresh herb aromas and a freshly baked fall apple pie just prior to an open house have been known to sell a home! Be sure to keep within the guidelines of municipal water restrictions, yet keep your garden watered in the fall right until freeze-up as plants are still growing. Add some fall flair to your summer containers by switching up plants with flowering kale, ornamental cabbages or colourful, fall mums. September is the best time for turf establishment as the air temperatures are cooler and there are fewer germinating weed seeds. 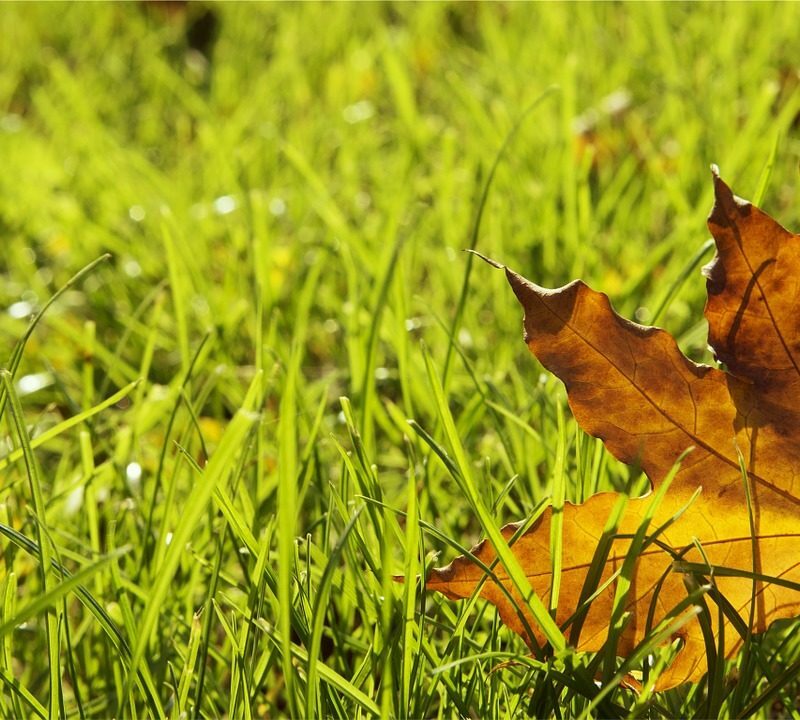 Applying a fall lawn fertilizer ensures the hardiness of grass before the harsh winter. Before the first hard frost, dig up any tender bulbs and tubers, such as dahlias and cannas, and store them in a cool dark place for replanting next spring. Bring in any tropical plants from their patio location. Be sure to hose them down with insecticidal soap and water to ensure no travelling pests hitch a ride indoors for a cozy winter retreat. Along the side of your home, draining your downspouts, bordering trees and gardens, or preventing erosion on sloped areas of your garden are a few of the more common uses. River rock resists runoff and the natural gaps between the rock provides a reservoir to allow precipitation to pool and return to the water table. It works as a heat shield during the day keeping the moisture in the soil for neighbouring plants and its many minerals provide nutrients to the soil. River rock looks best when set among plants and mulches and a grouping of various sized colourful boulders can provide a natural year round focal point in your garden. Homeowners with small yards are replacing lawns with river rock and creating attractive gardens with no watering or cutting. • A flat area is ideal for any sized river rock from pea gravel to large rocks but larger 3-4″ rocks are best for sloped areas as they resist runoff. • Remove dirt or soil 2-3″ below the border in the area where you wish to apply rock to allow room for the rock you will be adding and to ensure rocks don’t spill over the border. • Always use landscape fabric. Really. You will definitely get weeds if you don’t. Also the topsoil will mix with the rock in time, they won’t look as nice and won’t drain as well. • Granite river rock is recommended for ponds, water features and shoreline retention to promote healthy water by providing a surface for aerobic bacteria to form. • Bury 20% of boulders in the ground making them seem as if they rolled in ages ago. • Wind, rain and snow eventually removes the granite fines from the rocks to fully reveal the colours, texture, patterns and shine. Canada Blooms is proud to announce the addition of Maynooth Granite as an official sponsor of the 2018 festival. In 2017, Maynooth Granite’s unique Algonquin granite river rock was prominently displayed in Genoscapes’ Secret Path Garden as well as other gardens with compelling results. Maynooth Granite River Rock is sold at Sheridan Nurseries, select Home Hardware stores, Beaver Valley Stone and at 75 independent dealers across Ontario. The rock is screened and washed and available in sizes from pea gravel to giant boulders. For more information visit: www.maynoothgranite.com. Reprinted in part from the upcoming Fall 2017 edition of “The Gardener for Canadian Climates” magazine. To me, daffodils are the sunniest, most upbeat spring flowering bulbs. Their nodding heads, with the trumpet-shaped cup surrounded by a ring of petals, seem particularly full of personality. Daffodils are hardy, spring-blooming bulbs in the same family as amaryllis. Originally from the mountain meadows of southern Europe, they have been found in gardens all over Europe for centuries. Early North American pioneers brought daffodil bulbs with them to the New World to remind them of the gardens they left behind in Europe. Plant daffodil bulbs as soon as you start seeing them in stores. This may be the end of August or early September in cooler areas, but much later in warmer areas. Daffodils need at least six weeks to root before the ground starts getting too cold. If you’ve missed this window, plant anyway (sometimes those half-price bags of bulbs at the grocery store in late October are just too hard to pass up). Your bulbs will do better in the ground than they will in storage for the winter. Just don’t hold out much hope for bulbs planted less than a few weeks before the frost starts staying in the ground. Once planted, water-in well and don’t allow the bulbs to dry out—the bulbs prefer to be grown in moist locations. When buying daffodils, look for bulbs that are large, plump, firm and free of any signs of mold or rot. Find a nice sunny spot, ideally one that collects lots of winter snow. I like to plant them near shrubs or behind other perennials. The daffodils will pop out of the ground early and bloom before other plants get in the way, but the foliage of nearby plants will help hide the daffodil leaves as they go dormant by mid summer. Before planting, dig holes deep and incorporate lots of rich organic matter into soil. Plant the bulbs twice as deep as they are wide, approximately 10–15 cm (4–6 in.) to the bottom of the hole, with the pointed ends up. Space bulbs 10–15 cm (4–6 in.) apart, and plant in large groups to maximize their impact. Daffodils don’t usually need splitting or dividing, but if you find the clumps are getting too crowded or you want to spread them around, dig up whole clumps as the foliage starts to turn yellow, carefully separate large bulbs from each other, and shake the soil off. Large bulbs connected at the base can be pulled apart and replanted, but leave smaller daughter bulbs attached to the larger mother bulb; they will separate on their own when they’re large enough. Daffodils like moist, well drained soil. If you’re gardening in light, sandy soils, water well in the autumn as the bulbs are preparing for winter, and water during spring growth, blooming and for six weeks following blooming to keep the bulbs happy as they store energy. If you’re gardening in heavy clay, moisture may be less of a problem, but keeping soils well drained can be challenging. In either case, add plenty of organic matter to the soil to improve moisture conditions. 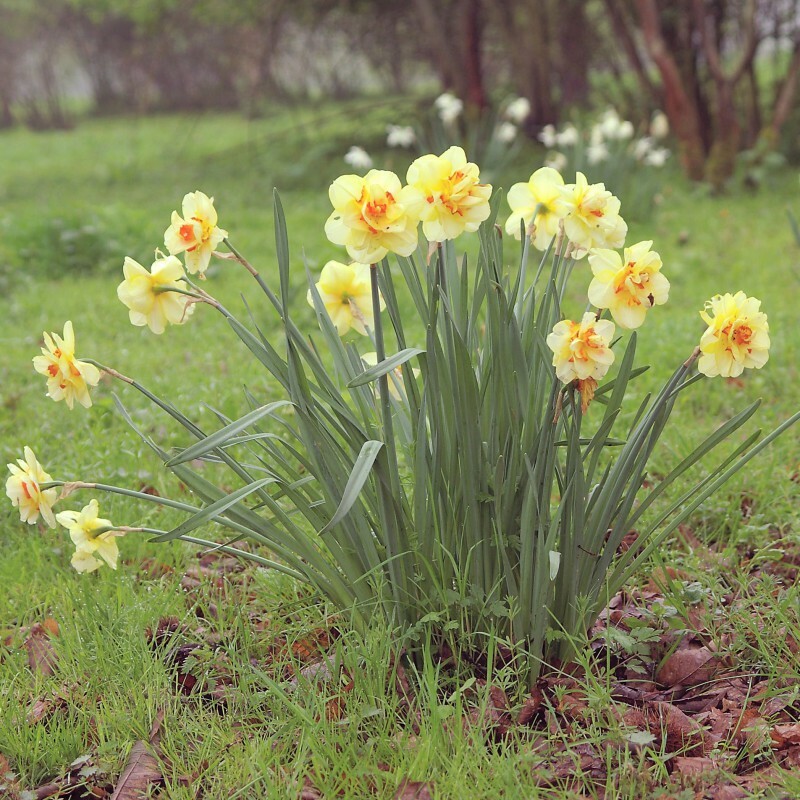 When daffodils do not thrive, the most likely reason is soil moisture conditions. Waterlogged soil will cause bulbs to rot quickly, while dry soils will cause bulbs to whither and dry out. Both conditions are fatal, particularly to newly planted bulbs. William Hrycan is horticultural editor for “The Gardener for Canadian Climates” magazine. A landscape architect, photographer, devoted dad and self-confessed gardening addict who gardens wherever and whenever he can. The Gardener magazine has published since 1995 and is regarded as the definitive horticultural magazine for in-depth information for our challenging Canadian growing zones. From magazines to blogs, and Instagram posts in between, it’s hard not to notice how popular Fiddle Leaf Fig plants (Ficus lyrata) have become. But what happens when you’re in love with the design aesthetic of a plant but not sure how to care for it? Read below for some tips from everyone’s favourite plant expert here at Jill Jensen Botanicals, Randy. Ficus lyrata are surprisingly easy to care for. Like most plants they enjoy a schedule, and benefit best from sticking to one. They do best in bright but filtered light (think a West or South facing window) and need to stay moist. But what does “stay moist” actually mean? Well, throw away your measuring cups because these plants enjoy being watered well, meaning there is no sure way to water it each week. A good rule of thumb is to use your finger and place it down in the soil a few inches. Does the soil stick to your finger and leave you a bit dirty? Or, are you able to easily pull it out with little residue? If your answer is the first then you’re likely okay to wait a few more days before watering. However,if your answer is the second one, then perhaps its time to fill up a jug and give your plant baby some H20. Keep in mind it’s important that your plants have great drainage, and are not sitting in water. What about consistent leaf drop? Are your leaves now soft and big brown patches appearing? Chances are this is due to over watering therefore your fiddle leaf figs needs a little less water and a little more time to dry out between waterings. Drooping leaves? Under watering may be the culprit here but careful not to suddenly give your plants a lot of water to make up for it — too much is just as bad as too little. All plants may also go through a brief period of stress as they leave the beautiful (warm!) greenhouses they were once habituating to go into a home where the AC is on high, or the window has a draft in the winter. If it’s been a few weeks and your fiddle leaf fig doesn’t appear to be getting any happier then it may be time to re-evaluate its’ care schedule and placement. A great tip is to give your plants some fertilizer during the summer when they’re in their active growing stage. Look for a balanced houseplant fertilizer, such as a 20-20-20, and use every 4-6 weeks. Having the bottom leaves drop off during this time is completely normal as your plant is making room for new growth. We’re consistently asked about transplanting plants but tropical plants, including those beautiful fiddle leaf figs, like to be a little pot bound. The best practice is to only plant into a new pot that is 1″-2″ larger than the current one. Alternatively, don’t be afraid to just place your ‘grower pot’ potted plant into a decorative pot instead. This way you can easily keep an eye on water levels and there is less stress to the plant as well. If you do need to transplant, stay away from your everyday gardening soil and purchase tropical plant soil from your local greenhouse instead. Spending a little extra money on soil could save you a lot of money on aspirin for the headaches you may have later on. We invite you to follow us on Instagram @jilljensenbotanicals for pictures from the greenhouse! The theme for 2018 is “Let’s Go To The Movies” celebrating the grandeur of the Silver Screen. 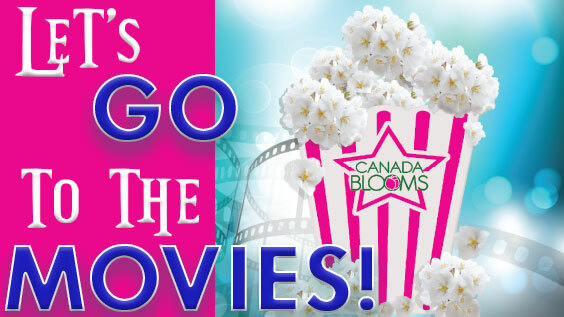 From days of old to the newest blockbuster hit, Canada Blooms is excited to kick off the Spring gardening season by showcasing our theme — “Let’s Go To The Movies”. We invite our landscape architects, design/build experts and floral artists to let their imagination run wild and show us their unique and innovative interpretations of this year’s theme. Will they choose the classics, contemporary or film noir movies? And, how will they be incorporated into the feature gardens, floral arrangements and stage presentations? Come join Canada Blooms, at the Enercare Centre in Toronto, March 9-18, 2018 to find out … “Let’s Go To The Movies“. On November 7, 2016, 42 energetic students from grades 9 to 12 from St. Joan of Arc Catholic Secondary School came to the Canada Blooms/Landscape Ontario site at Milton to plant 6,650 spring bulbs generously donated by Van Hoff and Blokker, Tradewinds, Mark Cullen and Landscape Ontario members. Now the beautiful tulips have bloomed and peaked, and we were wondering what to do with them (at least with the ones the squirrel left alone), so we reached out to Carolyn de Vries from Tradewinds International for some advice. Over the summer the hard working talented Landscape Ontario members will be adding style to your neighbourhoods. And while there are a faithful standbys — and in the world of gardening and landscaping, there are quite a few style elements that have proven to have significant staying power — these trends are not a bad thing. A little variety in your personal oasis is a good thing lest the look and feel of your garden becomes stale. Landscape Ontario Horticultural Trades Association, one of the most vibrant associations of its kind, is comprised of over 2,000 member companies, ten sector groups and nine local chapters. Its trade mission is to promote the horticulture industry in Ontario, and its public mission, Green for Life, promotes the joys and benefits of plants and green spaces. Visit http://www.landscapeontario.com for more information. Considering groundcovers are often in the forefront of garden beds everywhere, it seems little praise is given to these tough, tiny plants. Groundcovers can add a whole new dimension of colour to your garden through their foliage, texture and abundant bloom. Many, with their trailing nature can soften hard stonework when tucked in crevices, or be encouraged to spill down the front of retained beds giving an “aged” feel. Groundcovers can also help retain slopes and discourage weed growth. Some are so strong that they can act as a lawn or path substitution. Read on to discover more. Angelina (Sedum rupestre) – This spiky evergreen variety offers bright golden foliage and turns orange in fall, with yellow flowers in early summer. Dragon’s Blood (Sedum spurium) – The well-loved stonecrop is a semi-evergreen specimen with rich reddish foliage and bright pink blooms in late summer. Bronze Carpet (Sedum spurium) – This showy stonecrop sports brilliant bronze red semi-evergreen foliage with flattering pink flowers. Miniature Stonecrop (Sedum requieni) – This miniature stonecrop is a tiny leafed evergreen sedum and is the only one that tolerates foot traffic. It forms a dense mat with tiny white flowers and is extremely hardy. Creeping Phlox (Plox subulata) – Dense and low growing, this soft-looking plant is a prolific bloomer! It’s covered in small purple, pink, white or variegated flowers in spring, with short, stiff evergreen foliage. This low-maintenance perennial prefers sun/part sun and is accepting of lean soils. Golden Scotch Moss (Sagina subulata) – Very dense and low growing, this mounding evergreen perennial, with tiny star-like white flowers in spring, boasts attractive chartreuse foliage. It tolerates foot traffic easily but its shallow root system requires steady watering to thrive. It prefers part shade. Hens and Chicks (Sempervivum) – I like all varieties of this drought tolerant succulent. Their rosettes display dazzling progressive colour changes throughout the season. They favour full sun to bring out their rich colour. Sempervivums will bloom after the second or third year. An odd looking flower stalk will shoot up from the centre of the main rosette with a cluster of flowers. After the flower dies, gently twist off the stalk. The main rosette has put on new offsets that will fill in. Cranesbill (Geranium Bloody) – Of the many variations of the Cranesbill family, my absolute favourite variety is Bloody, which, to me, is one of the best Cranesbill introductions ever. It bears handsome dark green foliage with happy, upright clusters of bright violet-purple, cup-shaped flowers. Bloom period begins in early summer and continues on throughout the garden season. It likes sun to part shade. Creeping Jenny/Moneywort (Lysimachia nummularia or Golden Creeping Jenny) – Creeping Jenny is accused of being an aggressive perennial, however the Goldilocks variety is restrained in habit. It is ideal to combat soil erosion or on rock walls and tolerates lean soil. Preferring full sun to part shade, its yellow-green foliage makes a bright statement when paired with common greens typically found in the garden. The name “wort” suggests medicinal use; it was used by early English herbalists to heal superficial wounds of both man and serpents. It was also used for ulcers, scurvy, hemorrhages and ailments of the lungs. Dianthus (Dianthus) – Dianthus range in colour from pink, to red, to white flowers with notched petals and finely textured leaves. Sweet Williams (Dianthus barbatus) are large and are biennial or short-lived perennials covered with bicolour flowe4rs in late spring. Pinks are low-growing, low-care dianthus suitable for rock gardens with happy open-faced flowers and attractive grey-green foliage. Dianthus prefers full sun and won’t stand wet soils. Creeping Thyme Elfin or Minus (Thymus praecox Elfin or Minus) – This tiny gem has gorgeous miniature flowers and compact leaves. This is another “walk upon” plant and when trod on will let go its thymey scent – plus it’s edible! It favours full sun and tolerates lean soil. A host of mature, entangled groundcovers an rival the beauty of a tapestry. But be careful to consider the aggressive habit of many and choose the right plant for the right environment. Groundcovers are not only at home n the applications mentioned – consider planting a “mini” garden in a planter or two. Children love this pint-sized forest idea, or dare I say living wall. Perhaps it’s just the thing to take a ho-hum exterior wall to a front-and-centre showpiece! Water is flowing though our landscapes faster than ever – paved surfaces prevent it from seeping into the earth, so water has no choice but to flower ever faster into our streams. The results are flooding, erosion and pollution. Beyond that huge benefit, rain gardens are beautiful, and can even solve drainage headaches on your property. Canada Blooms is now accepting applications from Landscape Designers and Architects to build at Canada Blooms. If you have ever considered building a garden feature at Canada Blooms, now is the time to let us know. Canada Blooms is looking for Landscape Designers, Builders and Architects who can create spectacular, memorable and inspirational gardens. 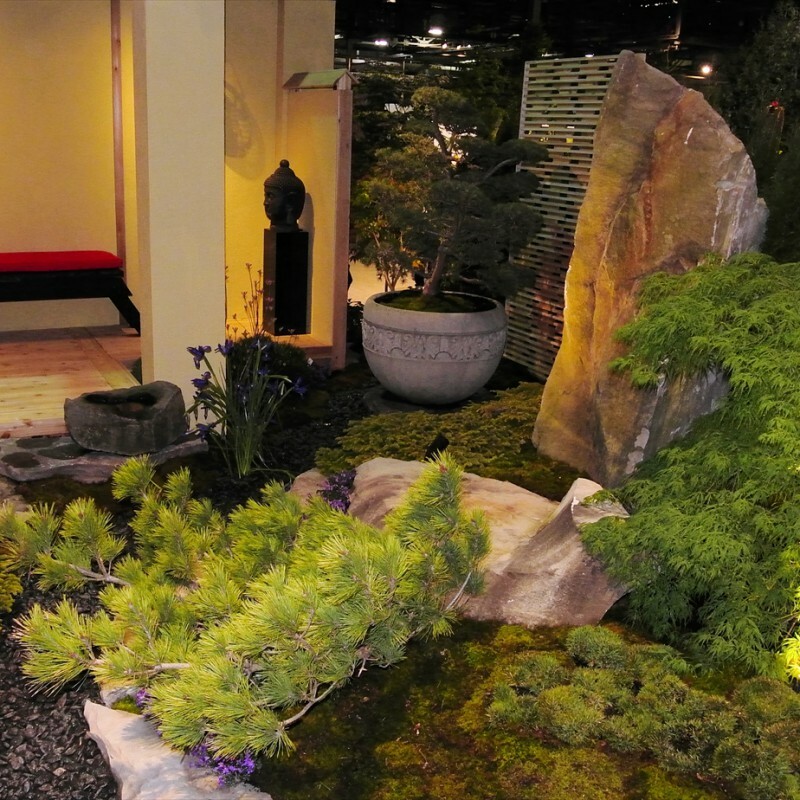 Build a garden at Canada Blooms and create an impression that will last a lifetime. The theme will be announced soon. There is limited space available to showcase your talent, creativity, craftsmanship and professionalism at Canada Blooms – March 9-18, 2018. If you are interested in submitting an application visit our website or contact Director of Horticulture, David Turnbull for more details. Notice of intent to build should be received by April 7, with renderings submitted May 26th, 2017. Note: submissions are judged by an independent committee and successful applicants will be notified by July 2, 2017. Reality: In nature, cedar grows in moist soil, which mosquitoes adore. It’s not actually the cedar that attracts them though mosquitoes are attracted to shaded environments of any type. Reality: Some spaces don’t have the room to accommodate the serpentine lines loved by many. Sometimes straight lines just work better and can be equally striking. Reality: Cultivation of the earth around existing perennials and shrubs breaks their vital hair roots, thus injuring the plant. Reality: Start gardens with a thick layer of good quality soil with additional bonemeal supplement. Spread a good layer of mulch yearly to retard weeds and keep moisture in. Do this and a garden will need little weeding and may never need fertilization or supplemental watering after establishment. How’s that for low maintenance. Reality: Many trees and shrubs can live in posts for years. They need less care and watering plus offer the bigger bang for your buck than a typical annual display. For example, a $20 Curly Willow shrub can survive for years in a large pot, has amazing form and makes a bold statement. Compare that with what you have to spend on annual displays over a three-year span. Reality: Trees don’t reach a certain height then suddenly stop growing. Some trees do have shorter or slimmer habits that suit smaller spaces. Remember, if trees were planted for the height they reach in 50-100 years, few of us would plant them. Reality: Flowering plant materials are fine poolside choices. Just because you have more skin showing does not make your chances of being stung any greater, though flailing around wildly will increase the likelihood! Stay calm and learn to enjoy and respect bees. Reality: All new plantings require water to establish, yet overwatering quickly drowns plants. Stick your finger in the soil. If you feel moisture, don’t water. Plant roots require gaseous exchange for survival and need to dry out a bit between watering to accommodate this. Reality: Current studies show vines such as ivy act as a thermal blanket, warming up walls by 15 per cent in cold weather and offer a cooling effect in hot weather by 36 per cent. Plus they look gorgeous! But take care to keep vines out of windows and soffits. Reality: Landscape designers approach design as a whole, including pool, patios and outdoor living spaces, trees and gardens, lighting and even outdoor furniture and accessories. Think of us as exterior designers. Harvey, CFD, CAFA, divides her time between Jennifer Harvey Designs, which she started in 2012, and Gatto Flowers in Mississauga, Ontario, which she joined in 2015 as sales and design manager. Yet she still fits in opportunities to speak and teach floral design to expo audiences, children, women’s groups, and people with disabilities. Gatto Flowers, which has been in business for more than 30 years, is like a home base with a solid team that gives her the freedom to represent both herself and its brand, she said. “I never wanted to be umbilical-corded to a bench,” unable to get out and see what others create, said Harvey, who also owns BeLeafs Home and Garden Care. That wanderlust may stem from when Harvey was in high school, and thought she would go into theatre and dance, having been heavily involved in those worlds. Her dream was sidelined when she ripped a tendon at a dance competition. While recovering from reconstructive ankle surgery, she started studying in the floral design program at Algonquin College in Ottawa. “I had to figure out another art path,” Harvey said. Though she expected, at the time, to return to performing arts and perhaps, one day, teach dance, she fell in love with floral design. “It changed my life and I never went back,” she said. Seeing her theatre friends struggle in their chosen profession also contributed to her decision. Her floral design class attended Canada Blooms in 2001, where she discovered the “craziest designs” featuring motorcycles cascading with orchids, and others towering 20 feet. 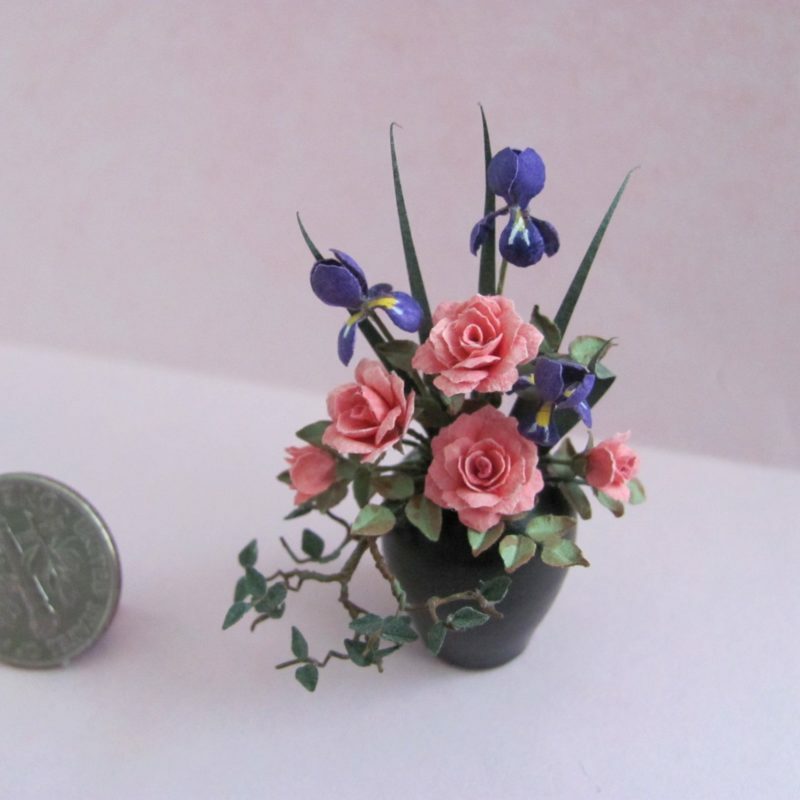 “I didn’t think anything like that was possible,” she said, because they were so unlike the majority of traditional vase arrangements found online. 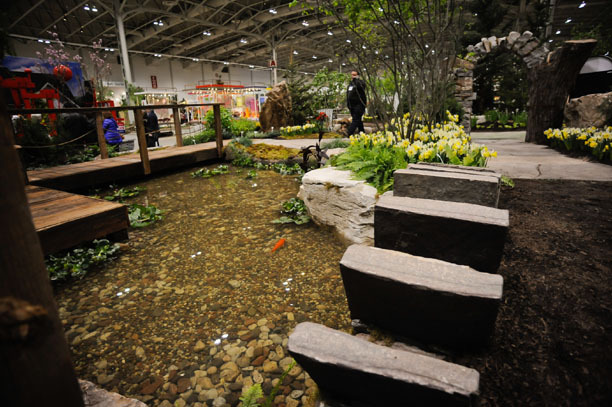 Canada Blooms, an annual festival in Toronto that ran March 11-20 this year, promotes horticulture awareness, and includes the Toronto Flower Show, acres of fantasy garden displays, educational speakers and demonstrations, a plant and product showcase, and flower market. More than 200,000 visitors attest to the “huge number of Canadians with green thumbs,” the festival’s website says. Over the next decade, Harvey learned the trade working in various flower shops in Brockville and Ottawa, Ontario, and Strathmore, Alberta; got married; and had a daughter, now 11, and a son, who is 9. When she returned to Canada Blooms on her own in 2011, she told Artistic Director Colomba Fuller: “I’ve got to be part of this.” She got her wish the following year, and took four months, working with a team, to create a well-received hot pink gown. “I just wanted to blow them out of the water.” It was a great feeling taking her place among high-calibre professionals, she said, and it also become her entrée to begin freelancing with internationally renowned designers such as Preston Bailey. She has also helped design for the prime minister of Canada, the prince and princess of the Netherlands, Elton John, Hillary Clinton and others she can’t name because of confidentiality agreements. 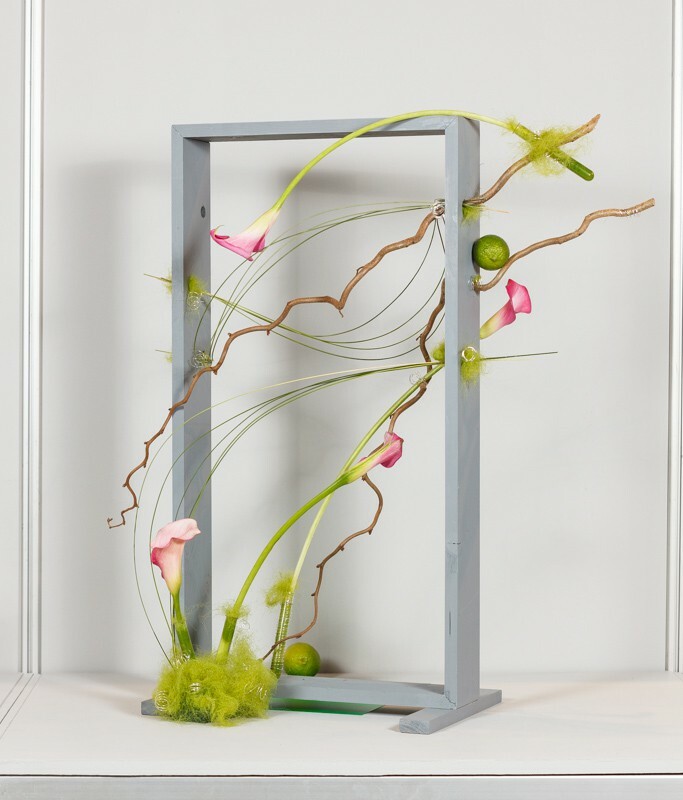 Harvey was inducted into the Canadian Academy of Floral Art in 2014. Canadian Florist magazine chose her as one of our “Top 10 under 40” after the inaugural contest that same year. For this year’s Canada Blooms, Harvey designed a 30-foot by 15-foot arch covered in blooms, a booth, a mini garden, and funeral-themed floral display. 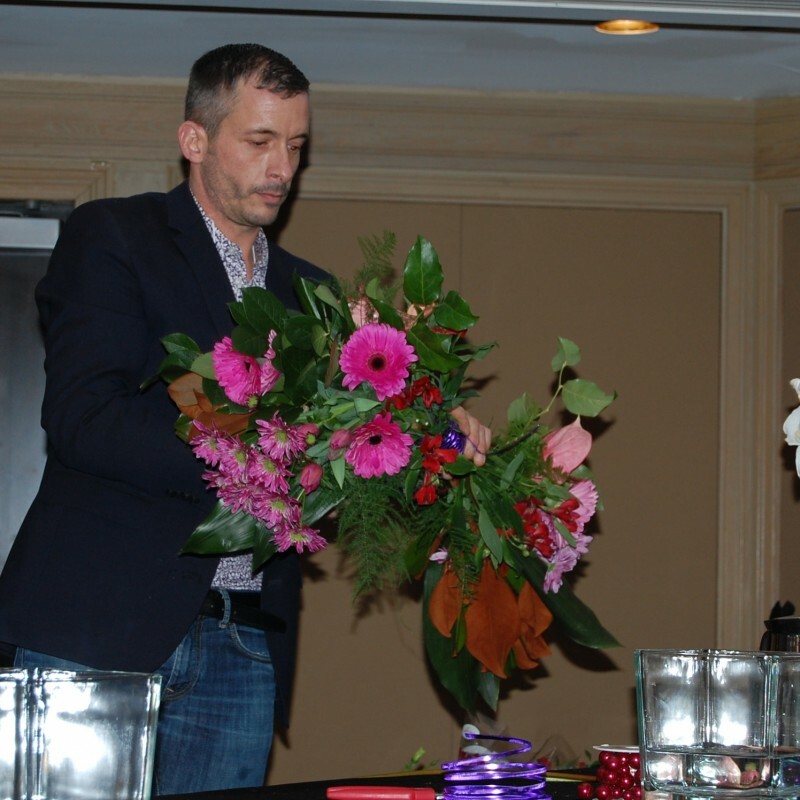 She also participated in pick Ontario’s Floral Superstars’ bouquet battle, during which panelists design bouquets in 45 minutes and give them away to audience members. Harvey thrives whether working on weddings that cost anywhere from $150 to $7 million, or showing her daughter’s class a Valentine’s Day or Mother’s Day project. She recently recorded an episode to air in June for the second season of “Blind Sighted,” a television show hosted by Kelly MacDonald, a blind reporter with Accessible Media Inc. While previous episodes have found him learning to surf, trying indoor skydiving or interviewing actors, he took a stab at floral design with Harvey. You should always read your owner’s manual before operating equipment. This will explain how your snow thrower works, as well as help to resolve common equipment issues like a clogged chute. In such instances, always shut off the engine and remain behind the handles until all moving parts have stopped before unclogging. You should never use your hands to clear a clogged chute assembly. Instead, use the chute clean-out tool that is conveniently fastened to the rear of the auger housing with a mounting clip. Troy-Bilt snow throwers even have polymer, clog-resistant chutes to prevent clogs or backup in the chute. Stale fuel is the number one cause of hard starting in small engines. Today’s fuels break down rapidly, decreasing their ability to ignite. Use of fuel that contains more that 10% ethanol, such as E15 (15% alcohol), is not recommended. Leaving fuel in the fuel tank of your snow thrower will clog the carburetor over time. To prevent this from happening, add fuel stabilizer or treatment to every tank full of fresh gas. Always check the oil level before each use on an even surface prior to operating your equipment. Running the engine with insufficient oil can cause serious engine damage and void the engine warranty. Do not overfill the engine as this will cause smoking of the engine and a hard start. After each use, remove the excess snow and slush behind the augers before it freezes. First, engage the augers for at least 30 seconds to ensure no snow is trapped behind the fan. Then shut it off. Don’t forget to remove any excess salt buildup to reduce the chance of your snow thrower rusting over time. There is always a possibility that you will need a part during or right after a snow storm, when you really need to use your equipment. To prepare for this type of emergency situation, we recommend that you keep the following spare parts on hand: ignition key, shear pins, drive belts, spark plug, oil, fresh (treated) fuel, skid shoes, shave plate. Please consult the parts list in your Operators Manual for exact part numbers. Troy-Bilt is a proud to announce its sponsorship of Canada Blooms 2017. Don’t forget to visit our booth in the Garden Hall at this year’s festival. 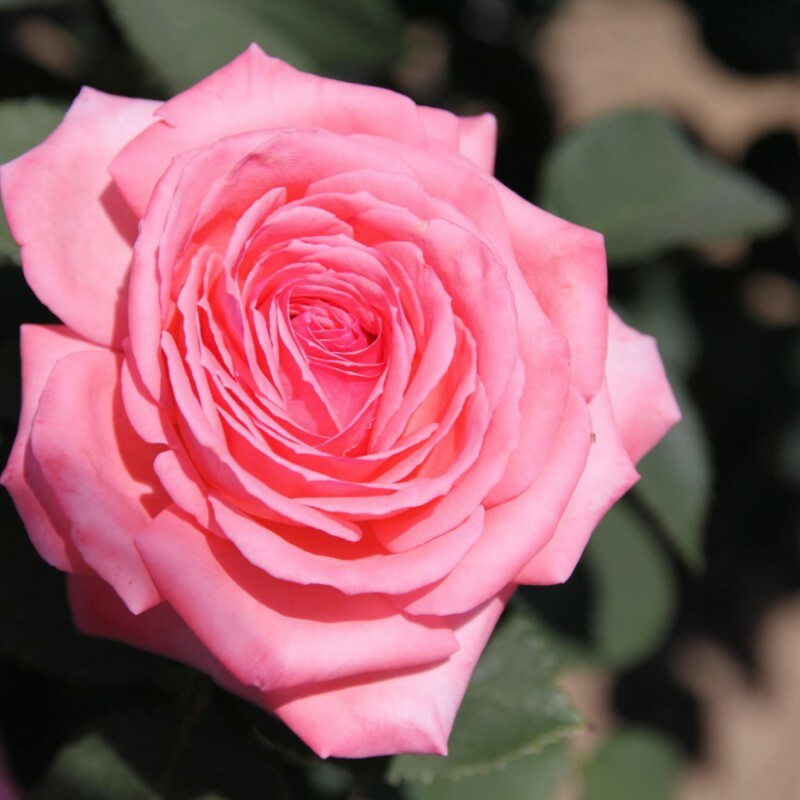 Canada Blooms is excited to announce that it has chosen for its flower of the year the new Canadian Shield™ rose. The Canadian Shield™ rose has been selected from the Vineland Research & Innovation (Vineland) rose breeding program. This new variety of rose, branded and marketed by Vineland will make its debut in gardens next summer in time for Canada’s 150th birthday celebration. It’s the first rose in a curated collection to be released in the coming years and known as Vineland’s 49th Parallel Collection. Come see the Canadian Shield™ rose on display at Canada Blooms in March, and discover why you should have it in your garden for Canada Day 2017. On March 2, 2011 a private members motion to declare the Wednesday of National Forest Week, National Tree Day, received consent from the House of Commons. The motion was presented by Royal Galipeau, M.P., at the urging of Tree Canada. Where will National Tree Day take place? Wherever you live! 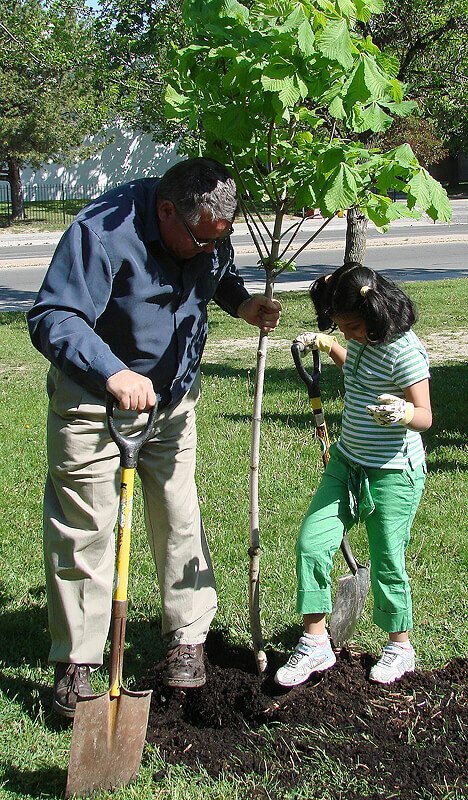 National Tree Day is the celebration of trees and forests in your town, city, and in neighbourhoods across Canada. Check out the event listings or register your own event! Wildflower seeds are easy to plant and make the perfect addition to any garden, whether it’s nestled into a planter or expanding over an entire backyard. Supporting a healthy bee population not only helps our buzzing friends, but it helps us too. One in every three bites of food we eat is made possible by bees and other pollinators who spread the pollen that crops need to grow including apples, almonds, coffee, and of course, honey. pockets doesn’t mean you can’t get into agriculture. It’s a venture filled with both obstacles and opportunities. It’s a challenge that has scared off many an aspiring farmer: How can a person embark on a career in food production without solid financial backing? Well, it turns out that some innovative souls are finding alternatives. Across the country, small-scale operators are finding new ways to access land, equipment and markets, making the dream of working the land come alive. But beware: it typically involves a lot of hard work, know-how and some solid business savvy. In one instance in southern Quebec, a group of five McGill University graduates banded together and leased five hectares (12 acres) in Les Cèdres, a municipality 60 km (37 miles) west of Montreal. Sharing their various skills, the group offers organic food, including garlic, and sells seed to other organic growers. Today, the Tourne-Sol Co-operative Farm (tournesol means “sunflower”) is one example among many that where there’s a will, there’s a way. In fact, armed with the all-important business plan, including projections, proof that they have some ability to repay their loans and some sort of collateral, many aspiring young farmers have contacted the FCC about financing their dream. “Our Young Farmer Loans are one of our most popular products,” says Toby Frisk, director of the Lindsay district of the FCC in southern Ontario. “Since 2012, we’ve had to reallocate funds several times and have provided $2.4 billion to young farmers. ” But while the prospect of borrowing up to $500,000 through the Young Farmer Loan program might not be for everyone, Frisk says it’s not necessarily a reason to count out a future in agriculture. But armed with a well-thought-out action plan, there are alternatives. revealed that an increasing amount of empty farmland in the Brome-Missisquoi region of Quebec’s Eastern Townships. Some types of farming had been abandoned, while other farms had been bought by wealthy urbanites with little interest in commercial agriculture. In 2012, the Banque de terres agricoles, a land bank, was created, putting owners of unused land in contact with aspiring farmers seeking to grow anything from hay to garlic. The service allows landowners and growers to set rental or lease rates, mentorship and possibly even partnerships between the producer and the landowner. A partnership between the county government (known in Quebec as the MRC), the province’s agriculture ministry and the Fédération de la relève agricole du Québec (which helps young people get into farming), the land bank project has proven so successful that it has been expanded to many other parts of the province. Meanwhile, in the Gatineau region, Sean Butler and his wife, Geneviève LeGal-Leblanc, established Ferme et Forêt in a slightly different way: they asked friends and family to invest in the operation by buying a form of bonds that offered a small rate of return on the investment. 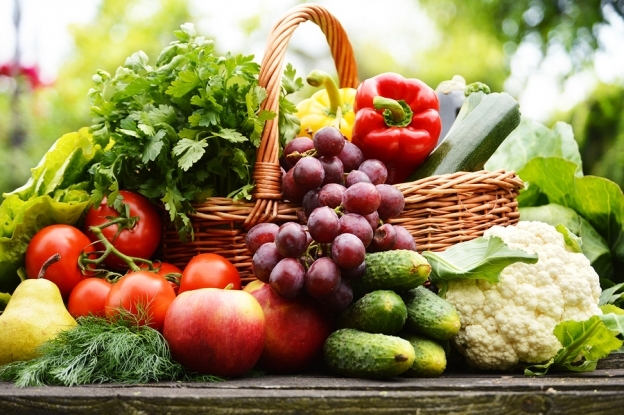 They call it community-financed agriculture (CFA), a variation of the more familiar community-supported agriculture (CSA), in which folks pay upfront in the spring and receive weekly baskets of veggies as they come into season. Urban communities are also getting into the act, in the form of co-operatives that support local food producers. In Hamilton, Ontario, the Mustard Seed co-operative cites local sourcing as its top priority. “We have been working with more than 200 local producers, including farmers and producers of prepared, processed or manufactured foods (ice cream, milk, cheese, cereals, cleaning supplies—whatever can be local is local). We expect this number to grow,” says Mustard Seed co-founder Emma Cubitt. Those producers are supported by the co-op’s 2,100 members, as well as members of the general public who shop there. Mustard Seed’s business model is paying off. “We have just passed $2 million in annual sales, which is pretty extraordinary for a two-year-old business organized by the community for the community,” says Cubitt. She notes that some people are attempting to get into food production by trying to expand a hobby into a business. That can be anything from selling produce from a backyard garden to manufacturing a finished product, such as hot sauce or ice cream. The successful ones are driven by passion for what they do. “We see young farmers wanting to grow as a personal response to environmental issues (GMOs, organic production and so on) or to have an agricultural living/working lifestyle,” she says. Maynard cautions, however, that if it’s a vision of a bucolic lifestyle you’re after, you may be better off keeping your day job. Farming hours are long, and at times the work can be very hard. Plus, as any farmer will tell you, farming requires the use of many skill sets: as an operator, you’ll have to have a firm grasp of what you’re growing, as well as finances, marketing, building maintenance and any number of other tasks. Maynard also suggests that aspiring farmers not limit themselves to the organics market. But it certainly has its place, particularly for someone looking to get into making a living, or at least a sideline income, from food production. Cubitt cites one Mustard Seed supplier who practises small-plot intensive (SPIN) gardening. He has worked out deals to have 11 backyard plots in the Hamilton area. Paying rent to the property owners, he has managed to support his family of five while incurring no business-related debt, proving that sometimes by thinking outside the box, you can find somethi ng that works for you. Subscribe to Harrowsmith’s Almanac and Harrowsmith’s Gardening Digest, and you’ll receive digital versions of these two issues FREE! As an ADDED BONUS, THEY’LL INCLUDE 2 NEW DIGITAL MAGAZINES to your subscription for FREE! Harrowsmith’s My Kind of Town and Harrowsmith’s Homes. According to the Lake Simcoe Region Conservation Authority, each year in your yard there will be run off from rain and stormwater that will come from your roof, driveway and other hard surfaces. As the water moves toward the street (and sewer system) it can pick up a number of other substances (waste, salt, oils, etc) that can be harmful to water quality and aquatic habitat. A rain garden is a much better use of the stormwater. A rain garden is a planted or stonecovered bed designed to receive stormwater and allow it to be slowly absorbed into the soil. Parklane Landscapes has a great Rain Garden Calculator on their website that will help you determine the size of the rain garden you should create for your property. 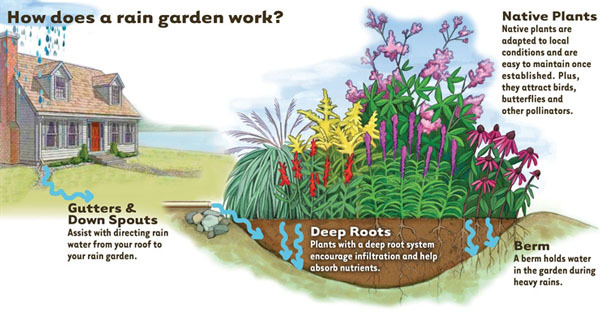 For more information on creating a Rain Garden visit the Lake Simcoe Region Conservation Authority website. Valentine’s Day is nearly here, and with it comes the pressure of giving your special someone the perfect gift that tells them what they mean to you. 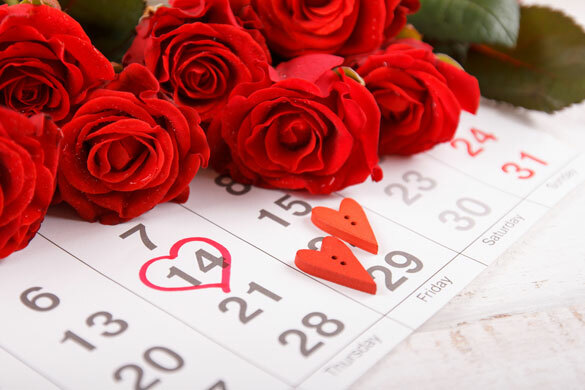 While Valentine’s Day is one of the most romantic days of the year, it can also be the most stressful; but don’t worry – finding the perfect gift that says “I love you” can be as simple as selecting the right flower. With that in mind, Canada Blooms has created a list of Valentine’s flowers and what each flower says about you and your relationship. Red Tulips:When most people think of tulips they think of spring, but red tulips are considered a declaration of love. Gift your sweetheart with a bouquet of red tulips to show your love this year. Daffodils: Daffodils symbolize new beginnings. This is the perfect flower to give at the start of a new relationship or friendship. Orchids: These rare blossoms symbolize love, beauty, strength and luxury. Gifting someone an exotic orchid lets them know that you are a bold person who likes to take chances. Sunflowers: These flowers represent warmth, happiness and loyalty. While most people associate sunflowers with summertime, they are available all year round and are the perfect gift for that special person who lights up your day. Gerbera Daisies: Symbolizing beauty, innocence and cheerfulness, gerbera daisies are a great gift for anyone, including mom. They also have beautiful large flowering heads and ability to last longer than other cut flowers. Visitors to Canada Blooms can purchase the ‘Garvinea Sweet’ series of gerberas that was named Canada Blooms plant of the year. 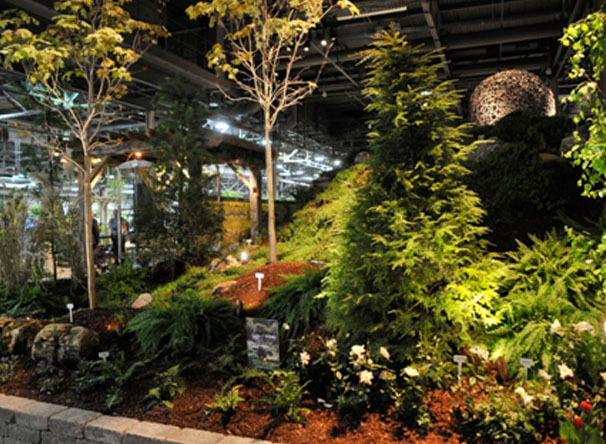 Canada Blooms will be held from March 11 to 20, 2016, at the Enercare Centre at Exhibition Place in Toronto. For more information or for tickets, please visit canadablooms.com. Follow Canada Blooms on Twitter @CanadaBlooms and Like it on Facebook. TORONTO, Ont. —Flowers are used to celebrate every occasion. Whether it is a birthday, wedding, or a special holiday, flowers show loved ones we care, and help celebrate life’s important milestones. During Canada Bloom’s 20th anniversary, the festival will showcase that ‘Life is a Celebration,’ and flowers are there every step of the way to help celebrate. “Presented by The Garden Club of Toronto, the Flower Show will present another year of competitions amongst amateur floral designers and garden club members at Canada Blooms. The competitors enter classes competing in horticulture, special exhibits, floral design and photography. International competitors from around the world have been invited to participate for the first 5 days. Artists in the garden will provide a new focus on floral painting. Arrangements will be on display throughout the duration of the show providing guests with a colourful, bright and exciting look at how flowers can be used in a variety of ways. Awards for the Flower Show will be handed out on March 20, 2016, at 3:00 p.m. on the Canada Blooms main stage. Canada Blooms will be held from March 11th to 20th, 2016, at the Direct Energy Centre at Exhibition Place in Toronto. The schedule for the show is available at canadablooms.com for anyone wishing to enter, as well as being found on the Garden Club of Toronto website. For more information or for tickets, please visit canadablooms.com. Follow Canada Blooms on Twitter @CanadaBlooms and Like it on Facebook. Canada Blooms is an annual world-class festival that connects people to the joys and benefits of nature through experiences with gardens and flowers by promoting, educating, inspiring and celebrating all aspects of horticulture. Co-locating with the National Home show to create North America’s Largest Home and Garden event, Canada Blooms is a not-for-profit organization that gives back to the community throughout the year by funding community garden projects around Ontario, Canada Blooms is also dedicated to providing the community with horticulture expertise, education and resources on an ongoing basis. 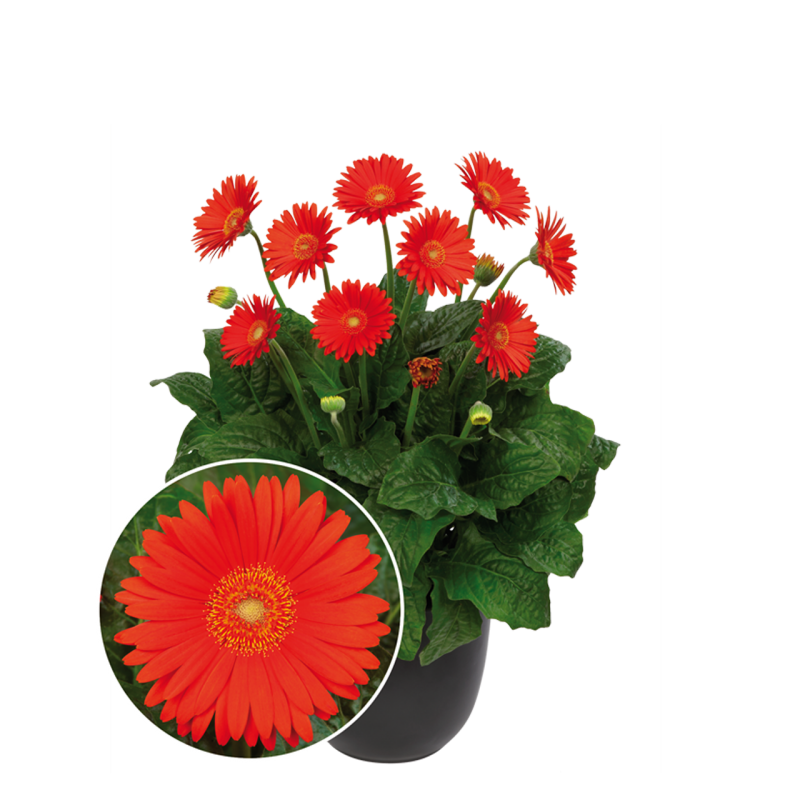 Gerberas, the longtime favourite houseplant and cut-flower for Canadians, are now available in the outdoors friendly ‘Garvinea Sweet’ series from Florist Holland, especially suited for outdoor use in both containers and the gardens. Intensive plant breeding , interspecific hybridization and tissue culture propagation have combined to make the ‘Garvinea Sweets’ a reliable garden performer in the spring, summer and fall with increased disease tolerance, cold tolerance and an excellent rebloom habit. Proven locally at the University of Guelph trial garden program during the 2014 and 2015 growing seasons, ‘Garvinea Sweets’ were grown in containers at 2 different sites as well as in 3 different ground bed sites under a wide range of watering and fertilizer regimes. As long as the soil was well- drained these plants thrived and bloomed continuously from planting time until winter arrived. As a fringe benefit, the flower stem length on the Garvinea is long enough to allow use as a cut flower in the home. 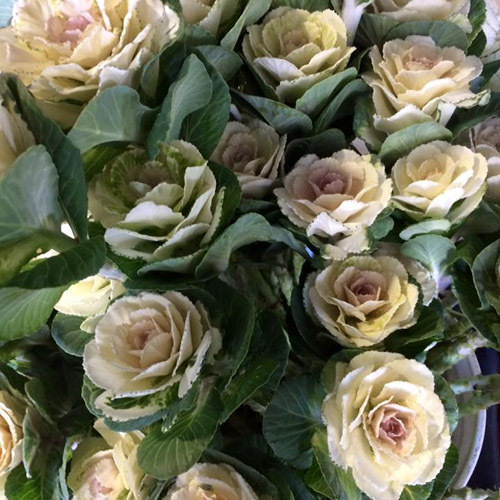 You can get a head start on buying these beautiful ‘Garvinea Sweets’ at Canada Blooms in March 2016. 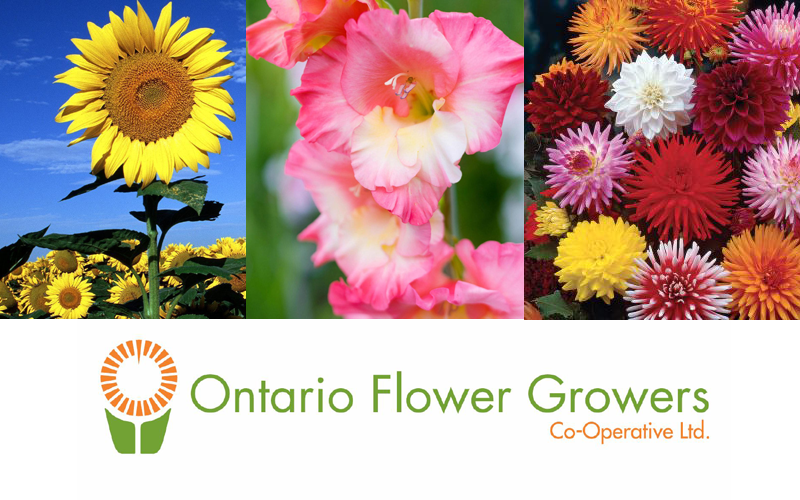 The following ‘Garvinea Sweet’ selections will be available for purchase at Canada Blooms: Sweet Glow(orange), Sweet Heart (pink), Sweet Honey (golden yellow), Sweet Smile (yellow), and Sweet Surprise (pink-violet). November has come to an end and with that, the festive season is upon us. Many of us now to turn our thoughts to decorating our houses and even our businesses for the joyous season ahead. A very traditional and beautiful method of doing so is to adorn both the exterior and interior of our dwellings with freshly cut branches and boughs of evergreens. This practice originated in pre-Christian times as a way for the Pagans to mark the Winter Solstice and the increase in day light after the passing of the celebration. Winter, being bleak, dark and cold, often signified death. While almost everything in nature was seemingly dormant during this period, the evergreen plants stood out in stark contrast. As such, Pagans would cut evergreen trees and decorate them. Boughs of holly, laurel and other plants were also utilized in similar fashion. The observation that these plants remained green during the winter, was explained by them being in a sense, magical and symbolic of the return of life and rebirth in spring. Today, that tradition continues in many cultures and there is a diversity of evergreens and non-evergreens from all over the world to choose and decorate with. Hailing from the northern hemisphere, we find red-stem dogwood and paper birch. While not evergreen, the brilliant red of the dogwood and the white of the birch illuminate any arrangement. The southern United States contributes with the beautiful broad evergreen leaves of southern magnolia, dark green and glossy on their upper surface with a most unique rust coloured and pubescent underside. Circumboreal in nature, the firs, particularly balsam, lend the traditional smell of a Christmas tree. Keeping in step with aromatic firs, are the gracefully arching and soft incense cedar boughs. The southern hemisphere gives us a couple of types of eucalyptus with varied shapes and the silvery cast they are known for. Of course, not to be forgotten and one of the first to be used, there is holly with the branches of female plants covered in bright red berries. This is just a small sample and one must visit their local garden centre or florist for many more. Why not also look towards one’s own garden for a few more boughs? If the point of keeping these evergreens is to symbolize renewed life while beautifying our homes, then we must make it a priority to keep them green! Here are a few pointers that should help in keeping them looking better, longer. Firstly, while not possible under all circumstances, try to keep the evergreens out of direct sunlight. Winter sun can be bright and combined with cold winter winds, will dry out the plant material and turn boughs into drab, brittle messes. Use the ‘Stay Fresh’ type preservatives that are recommended for Christmas trees or the preservatives that come with fresh cut flowers. If you are keeping the greens in a container without water, prune the bottom of each stem or bough and then do a twenty-four hour treatment in a water/preservative mix prior to assembling your arrangement. Mist your greens as often as possible. At the least, once a day misting with water from a spray bottle to the point that small water droplets form on the foliage. The sunnier and windier, the more frequently this should be done. Use an anti-desiccant spray such as ‘Wilt-Pruf’. Here at Humber Nurseries LTD, we have had great success using this product on all our greens once they are unpacked and on display. The naturally derived coating minimizes further water loss. Such a spray may not be recommended on any plants with a glaucous or silver-blue colour, if that colour is to be maintained. If lights are used in any arrangement, use LEDs over incandescent bulbs. Not only will you save energy, but incandescent bulbs put out more heat that will dry the plant material. Of course, when not being viewed, turn any lights off. Lastly, use a floral foam to arrange the material in. Prior to assembly, soak the foam in water. Our chief decorator, Natalina, prefers wet sand above all, as it keeps the boughs and branches looking fresh and provides good weight to the urn or container, should your area experience high winds. Most importantly, have fun and all the best over the holidays and for the year ahead! Canada Blooms was one of 75 non-profit organizations who set up booths to connect young adults who are interested in volunteering. Aimed at high school students, the Expo was a great way for attendees to get an impression of the many different types of organizations looking for volunteer help. The response was amazing, and the teen who took part had a real purpose — to find the position that was just right for them. They asked direct questions and wanted direct answers to enable them to make informed decisions. The attendees didn’t just want to fill a mandatory school requirement; they want to make sure that their time counts for something. Many organizations, like Canada Blooms, could not function without those dedicated individuals who donate their time and expertise to make a difference, and we welcomed this opportunity to reach out to a new audience. We hope to see many of the teens we connected with at our 20th Anniversary Festival, March 11-20, 2016 at the Enercare Centre. 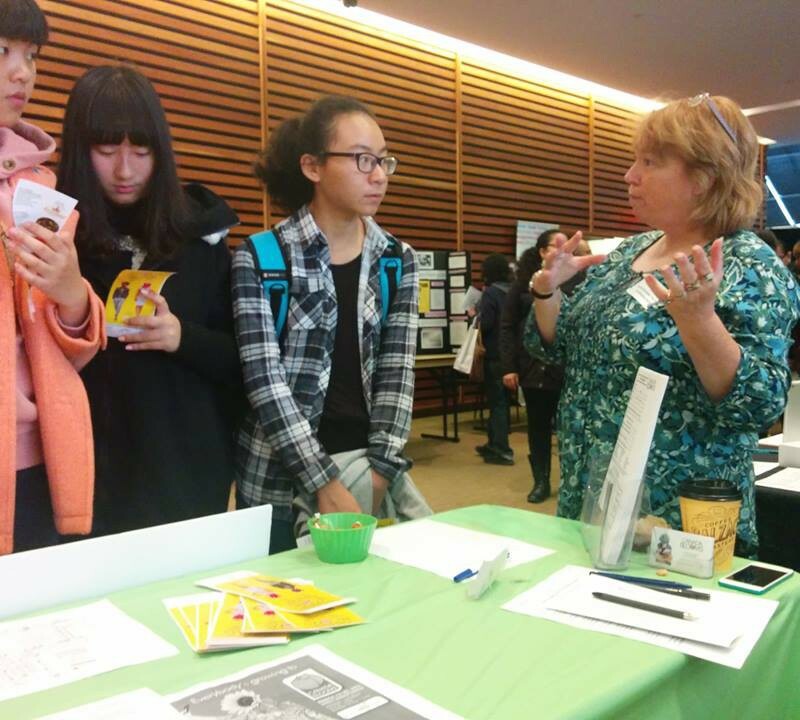 Thanks to the Volunteer Toronto staff and volunteers who created a great event and to the hundreds of students we met. We can’t wait until the next Youth Expo to meet a brand new group of inspired individuals. 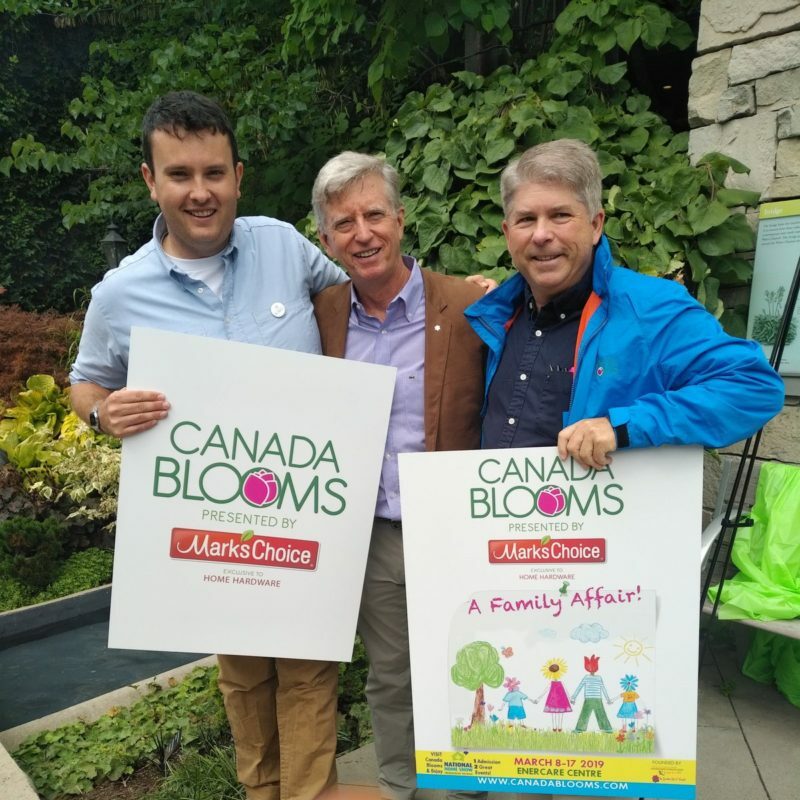 Canada Blooms is a fun way to meet new people and help promote a love of gardening, horticulture and floriculture to nearly 200,000 visitors over 10 days. Canada Blooms needs your help in a number of areas and we offer different shifts that can fit almost everyone’s schedule. So, come join the party in March! If you are interested in volunteering at this year’s Canada Blooms, please visit complete our online form. For the past 19 years Canada Blooms has reached out to the Garden Builders and Landscape Designers who might be interested in building a feature garden at Canada Blooms towards the end of summer, usually September/October. Moving forward for 2016 and beyond it has been determined that the best time to ask for submissions for the next festival should be April/May. This will allow a longer period of time for garden builders to work on their designs. So here it is May, and Horticultural Director, David Turnbull, has sent out notices through a variety of channels inviting Garden Design/Builders to submit a concept drawing and description of the garden they would like to build at Canada Blooms. These drawings and descriptions are submitted and evaluated, by an objective panel of industry professionals, to determine if the garden builders meet the criteria to build at Canada Blooms. That’s right, not every garden builder who wishes to build a garden at Canada Blooms will be accepted. First they submit a concept drawing (a version of these drawings are usually the plans that are seen on the website and in the festival guide) and a paragraph or two describing their concept. Then company information is removed from the paperwork and the concept and drawings are judged using a number rating system based on: did they submit on time, did they include all elements, is the concept imaginative, has the required plant material/element met the right ratio, is the concept professional? The Judges also look at how well the concept fits the current year’s theme, is there something new and innovative, etc. Once the plans have been evaluated, they are given a score and that score will be used to determine if a garden builder is accepted. For those that are not accepted they are given pointers that will help them for future submissions. Once the Feature Garden Builder Submission is given a ranking number, those with the highest number will then receive their acceptance notification first and the builder will be given a location based on size available/requested. Canada Blooms offers qualifying Landscape Ontario Members a subsidy to help them defray some of the cost of building a garden at the festival. Depending on budget constraints of the festival year, Landscape Ontario members may or may not receive the subsidy amount requested. Canada Blooms does however, provides ALL garden builders with sand, mulch and logistical/materials handling on site. We are excited to announce that we have nearly double the amount of space requested to build gardens at Canada Blooms 2016. The drawings have been assessed and builders will be notified of their status by the end May. Soon we will start to create the first draft of the floor plan. Also this month, the various Festival Committees meet to discuss plans for the 20th Anniversary in 2016 and plans for 2017 as well. Administratively, we are updating databases and clearing up any outstanding paperwork from 2015. We are also still reaching out to partners and looking for future partners who wish to align with Canada Blooms to promote their messages. I always seem to get asked the question, “now that the festival is over, what do you do for the rest of the year?” So if you are interested in taking the journey with me, I will take you through what we do each month up until the next festival. It should be noted that we are always working on two events simultaneously, the current (the upcoming) and the next festival (the year after that) in terms of strategy, marketing, sponsorship, theme, décor and ambience, and much more. This means that although as we get closer to the current festival there is a noticeable increase in time pressure, we are busy throughout the whole year. So let’s start with April. April is the month of reflection. Throughout this month there are many meetings where we dissect the festival and see what worked, what didn’t, and where we want to go in the future. There is a staff assessment, a board assessment, and an assessment from each of the many committees that are run and “staffed” all by volunteers who have generously donated their time, talent and expertise to put on a world class event. 95% of visitors and media loved the move to Hall G, although it was not without its challenges. What those looking in sometimes don’t realize is with a move to a different location, whether it is from a venue or just a hall within that venue, a whole new event is created. All those things that you discovered and put into place in the past – stages and rooms, move-in times/docks, booth locations, etc. – are now out the window, and you are essentially starting from scratch. Luckily we were still in the same facility and using most of the same suppliers which created less snags, but as any event managing/planning team will tell you there are always hiccups. It is interesting how things you never anticipated can sometimes pop up. For instance, although “Canada Blooms” the festival changed halls the Garden Marketplace did not (it has been in the same location for four years) and yet some people had difficulty finding it. We are currently looking at different strategies to solve this dilemma in the future. One of the great things about Hall G, which many are not aware of, is Canada Blooms is no longer taking place above the underground parking. What does that mean? Well, garden builder/designers can now build their gardens using materials and styles they couldn’t use before because of weight restrictions. This will allow for more interesting designs, and the lower ceilings really do make the gardens and floral displays stand out. Final Assessment: the move was seen as very positive and welcome change. This created some concern from a small minority who we believe didn’t see the full picture when it came to the ambience lighting. Canada Blooms spent a great deal of time planning the lighting for the festival this year. We knew that we were going to be changing the whole look and feel of Canada Blooms, so we made sure to consult a number of lighting professionals. We also fully anticipated there would be some people who might not appreciate the effect, and as it turned out the lighting was something that was either loved or hated . . . nothing in between. If you caught the Facebook feedback that you would think the festival was dim and grim, but if you followed Twitter it was a wonderful experience. The overall consensus from the visitors at the event and the feedback on social media was that the majority (over 75%) were happy and found the theatrical lighting really set the gardens off. So now I will let you in on a few secrets about the lighting…. First of all, the lighting grids in the older building were somewhat of a puzzle and a challenge to manipulate. Meaning if you turn off a light in the front left grid you also might turn one of in the back right and somewhere in the middle. Secondly, the effect of coming from a 100% lit hall (where the National Home Show was on display) to a 50% illuminated hall, forced visitors into an abrupt visual adjustment which made the whole hall appear even darker. But once you let your eyes adjust, the effect in the gardens was quite dramatic. Another unanticipated consequence of the lighting, discovered onsite, were the lighting boxes. They ended up right next to support pillars and for safety reasons; they had to be covered with a hard wall which resulted in unintended visual barriers much smaller aisles. Final Assessment: The lighting for the most part was positive and we have learned a few things that will make the dramatic lighting better for 2016. Whoa Nellie, it was cool in there this year. We have always had to maintain lower temperatures in the hall displaying gardens and floral features in order to keep the flowers from popping too soon. When we moved from a 5- to a 10-day event, we became aware that there would have to be a replacement the plant/floral material part way through in order to maintain the quality of the event. Since 2012, we have designated Monday/Tuesday as the change over night (note: although the festival starts on Friday many of our plants come in the Saturday prior to the festival start in order to be placed in the gardens and planters during the build). One of the unexpected things that caused lower temperatures this year was due to new fire regulations at the facility, this required additional access doors be left open which in turn let frigid air into the hall from outside. As well, the somewhat variable heating that comes from an older building (think lighting grid above) meant some plants received more heat and some received less, resulting in us simultaneously trying to keep plants from drying out (and appearing past their prime) and trying to get them to bloom. Needless to say, some of bulbs did not actually bloom until the last few days of the festival which led to a somewhat lack of colour and fragrant odor. Final Assessment: we now have a better understanding of the temperature issues in Hall G and that is a priority for next year. I found the issue of smell a little strange because we had been in the building for a number of days setting up prior to the festival and had no issues. But during the festival we had a few people mention that they could smell the cattle from the building (Hall G is used as the animal building during the Royal Winter Fair). So both Festival and Building management did a complete walk through of the hall again like detectives hot on the trail of the elusive “odor” menace. And we think we found the culprit or culprits – the odor was not a distant manure smell, but was in fact the earth from the gardens mingled with a new mulch that was used this year. This gave the gardens a more earthy smell, and that coupled with the lower ceilings as well as delayed in bulbs flowering may have caused people to believe they were smelling something they actually weren’t. One last thing to note is that we created an impressive allee of tropicals that lined the roadway carpet leading to Canada Blooms, but the tropicals that we actually used were lush plants rather than blooming flowers and as a result of this changeup there was not that fresh fragrance of Spring that we had all hoped for. Final Assessment: we are aware and it is being re-evaluated for our twentieth anniversary. So we have hashed and rehashed the good, the bad, and the not so bad, and we are now hard at work on the plans for making our twentieth anniversary a very special festival. Also in April: the administrative side of things, invoicing, paying invoices, getting all the details out of the way so that we can move on to 2016. We also start meeting with our partners to gain their insights on how the festival worked for them, so we can create an even better festival next year. When at Canada Blooms check out the Piega Benches that will be in the Parklane Speakers Area located in Hall B, near the presentation room. The Piega (fold) collection is a family of furniture made in solid walnut and ebonized with a steel wool and vinegar solution to give each piece a natural dark appearance. This colouring compliments the figure of the wood and the shaping of the form. The stools and benches are designed with inward tapered legs to imply delicate qualities that act nicely with the playful application of seating. Corners of a selection of legs are sliced off to adhere to the source of inspiration: folding, creases, and qualities of paper and pliable materials. The polyester wrapped elastic cord for the seating is done in a variety of colours and provides comfortable support. Each piece is finished with danish oil for indoor application and a water resistant finish for outdoor use. Katrina Ennamorato is a graduate of the Furniture program at Sheridan College where she has received a variety of awards for her work and dedication within the program. She has also been awarded with a Designlines Magazine LoveTag for her work which was exhibited during Toronto Design Week in 2013. 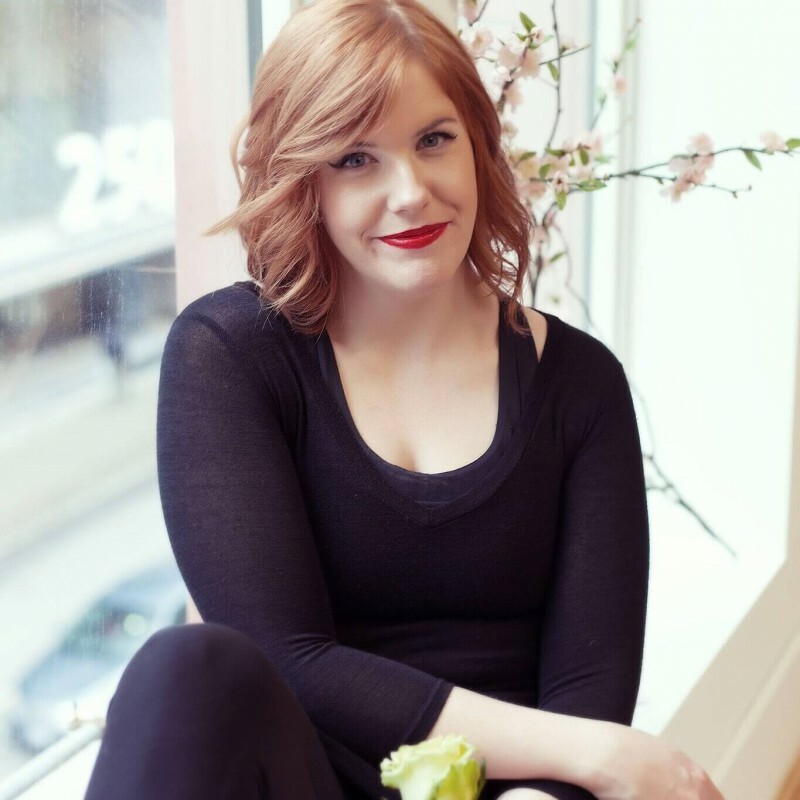 Prior to Sheridan, Katrina earned a BFA with honours at Ryerson University in New Media which gives her a unique perspective on handmade goods and on the craft of furniture. Currently Katrina is a resident artist at the Living Arts Centre in Mississauga, Ontario. 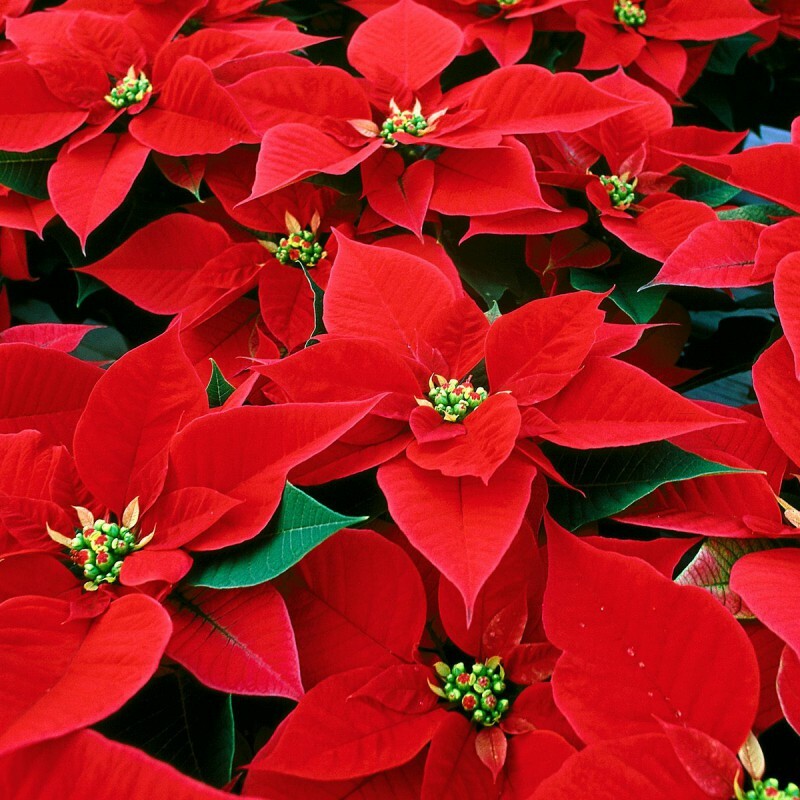 With proper care, your poinsettia will last through the holiday season and right into late winter. If you cannot bear to throw your poinsettia out when it is finished providing colour, you may want to try your hand at reflowering your poinsettia next year. December Full bloom. Water as needed. growth appears. Cut back stems to about 20 cm. June 1 Repot if necessary. Fertilize with a balanced formula 20-20-20.
do not fall below 10°C. Place in light shade. Late August Take inside. Cut stems back, leaving three or four leaves per shoot. Sunny window. Water and fertilize as needed. LIGHTS) 5 p.m. to 8 a.m. Remember the key to success: Follow the strict light/dark instructions carefully. As we gear up for 2015 we give you an opportunity to revisit the Gardens of Canada Blooms 2014. On June 18th, 2014, the 11th World Flower Show of the World Association of Floral Artists took place in Ireland. What a spectacular event—31 countries were represented by 670 competitors in 31 classes. The class size ranged from 15 to 34 competitors with the average being 20 entrants per class. Eleven Garden Club of Toronto members had the courage to accept the challenge to compete on the world stage. Canada had 26 entrants in total with 5 placements. Rosa CA28, first emerged in Saint-Jean-sur-Richelieu in Quebec and was later adopted by the Canadian Nursery Landscape Association. The CANADA BLOOMS Rose is a classic looking Hybrid-Tea rose that was grown under the same Canadian Rose Breeding Program that developed the genetics for Emily Carr, Felix LeClerc, and Campfire rose. This beautiful rose has everything a rose should have: it is pink, fragrant, hardy and resistant disease and our Canadian winters. 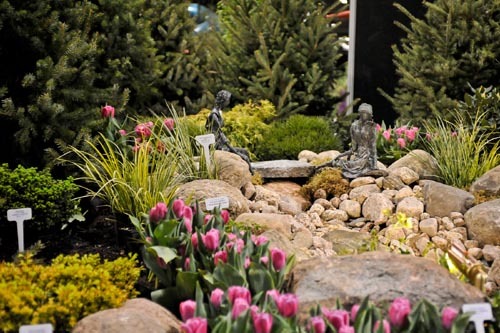 You might have noticed her at Canada Blooms 2014 where she made a brief appearance thanks to J.C. Bakker & Sons. If not, plan to meet her this March, and you will agree she is the perfect accent to any garden. Canada Blooms is excited to announce that ‘Let’s Play’ will be the theme for our 2015 festival. Apart from the meaning of “contending in a sport or game”, play is also the absence of work, a careless behaviour, the undertaking of an activity for pleasure and freedom. It generally includes diversion or amusement. Playing brings us joy, health benefits, energy and youth. We all play all sorts of games….card, board, ball, sports, games of chance and games of love, we play musical instruments, we joke and strategize and more. Given the many interpretations of PLAY we are eager to see how the talented garden designers and builders and floral professionals will utilize this year’s theme when creating their stunning displays. Join us at Canada Blooms, taking place March 13 to 22 at the Direct Energy Centre where we will once again co-locate with the National Home Show to create North America’s Largest Home & Garden Event. Plan to spend your March Break at Canada Blooms 2015 and Let’s Play!! TORONTO, Ont. (JUNE 17, 2014) – The Board of Canada Blooms Horticultural Society is pleased to announce the appointment of Terry Caddo to the position of General Manager of Canada Blooms. 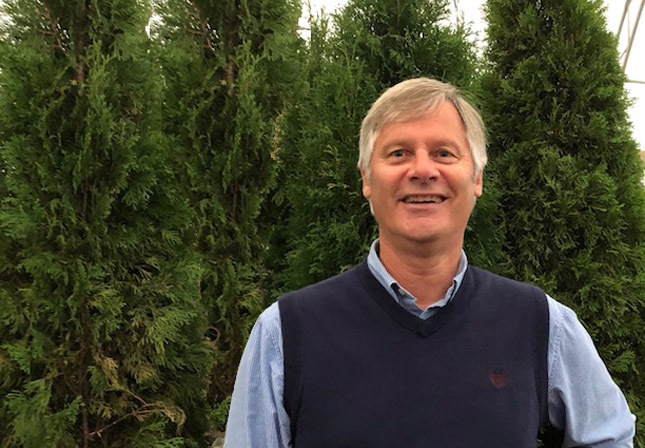 Terry brings a wealth of experience in management, marketing and sales, communications, horticulture and trade shows to provide the leadership and strategic direction to enhance the continued success of Canada Blooms. As General Manager of Canada Blooms, Terry will be responsible for the day-to-day operations of the world class festival that connects people to the joys and benefits of nature through experience with gardens and flowers, by promoting, educating, inspiring and celebrating all aspects of horticulture. Prior to joining Canada Blooms, Terry spent three years as the Director of Operations at Royal Botanical Gardens. He was responsible for the RBG Christmas Train Show, the exhibit Battle of the Titan and the RBG Garden and Home Show. Terry also spent seven years as Director of Marketing and Communications at Ontario Place. While there, he developed the Rogers Chinese Lantern Festival and created the Canada Dry Festival of Fire. He holds a Bachelor of Business Administration in Marketing from Lakehead University and a Post Diploma Degree in Sport and Event Marketing from George Brown College. Spring is in full bloom at Etobicoke’s Wesburn Manor – thanks to the donation of hundreds of plants from Canada’s largest flower and garden festival. On Tuesday, Canada Blooms helped bring a little taste of spring to the lives of Wesburn Manor residents by delivering more than 600 colourful plants with the help of Procter’s Cartage, which donated transportation of the flowers. 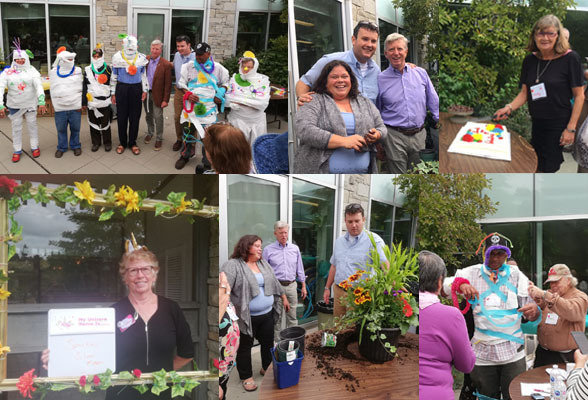 This marks the seventh year that one of the city’s long-term care homes has benefited from the Canada Blooms donation, which provides a loving home for hundreds of healthy plants while improving the quality of life for long-term care residents. Some of the flowers will be distributed to clients who live independently in the local area, but use support services offered by the city such as Wesburn Manor’s Adult Day Program or Homemakers and Nurses Services. Inspired by our 2014 theme, WILD!, our Celebrity stage will carry you away to another world…you can dream about South Asia, the Indian Ocean, Australia…it’s all here. Thanks to the generosity of Valleyview Gardens, the stage has been planted with ornamental bamboo originally from East Asia. There is also Draceana Song of India, a tropical tree native to Madagascar, Mauritius, and other islands in the Indian Ocean; Kimberly ferns, which originated in Australia; and mass plantings of large leafed colourful Croton Magnificent, Neon Algerian Ivy, and variegated Ginger which is native to tropical Asia. You will also notice Blue Bismarckia Palms, native of Madagascar, with its silvery-blue, fan shaped leaves; and Phoenix Roebelini, a species of small date palm native to Southeastern Asia. The front of the stage, a mass of bromeliads of all sizes, and variegated pineapple, all in the yellows, blues, greens and pinks complete our wild tropical stage. Larry Varlese, owner of Valleyview Gardens, and his team worked with Canada Blooms to come up with a concept for the stage. Upon delivery of the plants at the Direct Energy Centre, the team was very active in the placement of the plant material in order to highlight the colours and textures of the different plants. Thank you, Larry and the team for your great work and generosity. Having worked up an appetite after climbing the cliffs of Moher, we headed to the Doolin Hotel and had a fantastic dinner of locally sourced fare, expertly prepared by the hotel chef. Just what the doctor ordered! The next day, fully rested we enjoyed a full Irish Breakfast with freshly baked scones and muffins made in house by the excellent pastry chef, just the thing to set us on our way. As we drove up the coast the glacial landscape was a sight to behold, large boulders dotted the fissured limestone on the coastal side while pastoral fields led the way inland. 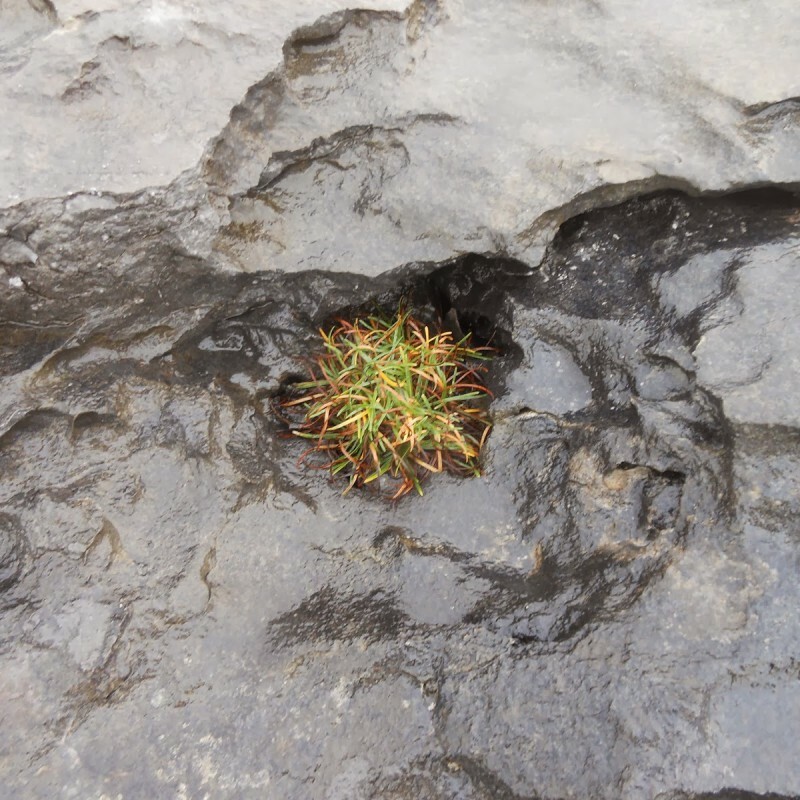 Rare arctic species of flora occupied some of the fissures creating the illusion of a collection of hundreds of miniature bonsai gardens. Day 1: Our Landscapes By Lucin team arrived at the Cliffs of Moher, met by Flan Quilligan from Feilte Ireland, Geraldine Enright from the Cliffs of Moher Visitor Centre, and the ever-illustrious Pat Sweeney our nimble cliff walking guide. 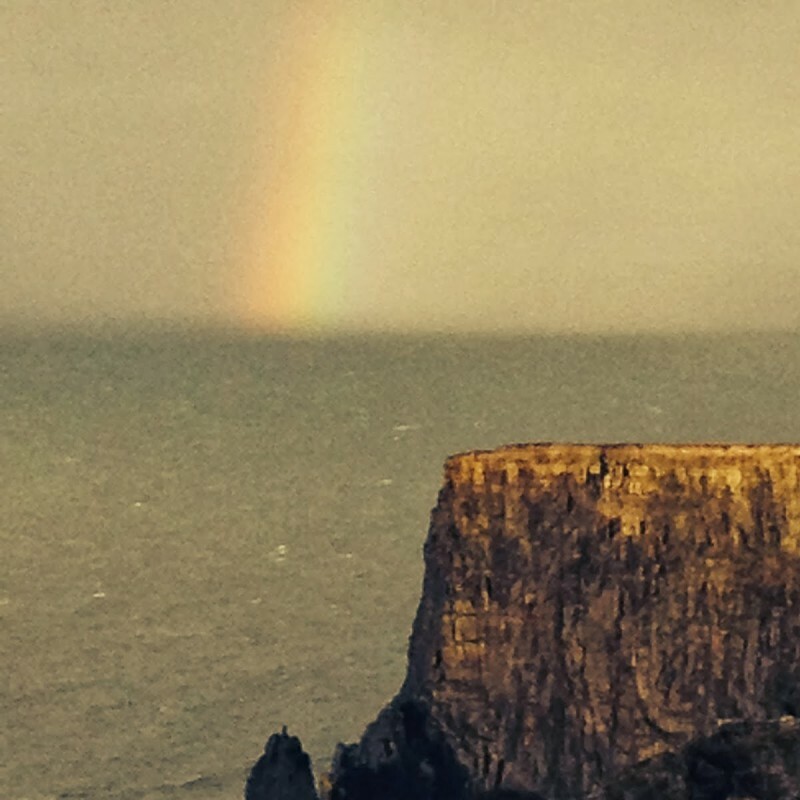 A cool rain greeted us at the airport, and a light mystic fog enveloped us as we walked the cliff top trails, with the sun breaking through the clouds depositing a beautiful rainbow in the cold Atlantic. The sheer magnitude of the cliffs became apparent as we ascended the limestone steps, traversing the pastoral fields of woolly sheep. The ocean view was unparalled in our experience. The sublime majesty of the cliffs in all their grandeur, the pastoral fields of the rolling countryside, the sound of the waves crashing against the cliff face, and the feeling of the ocean mist instilled an unrivalled sensory experience. This site must really must be experienced in all it’s natural glory with all one’s sensory faculties. Photographs alone will not do the Cliff’s of Moher justice, you really have to be here!!!! Canada Blooms had its first Media Launch on January 28th. Members of the media were invited to preview the Feature Garden and Floral Artists that will be at this year’s festival. Our special thanks to the InterContinental Toronto Centre for creating a wonderful experience, Albert Graves and pickOntario for providing exquisite floral pieces for our Bouquet Battle, J & B Greenhouse who provided beautiful cyclamen on a cold winter’s day. Thanks also to Unilock for their generous support of Canada Blooms.